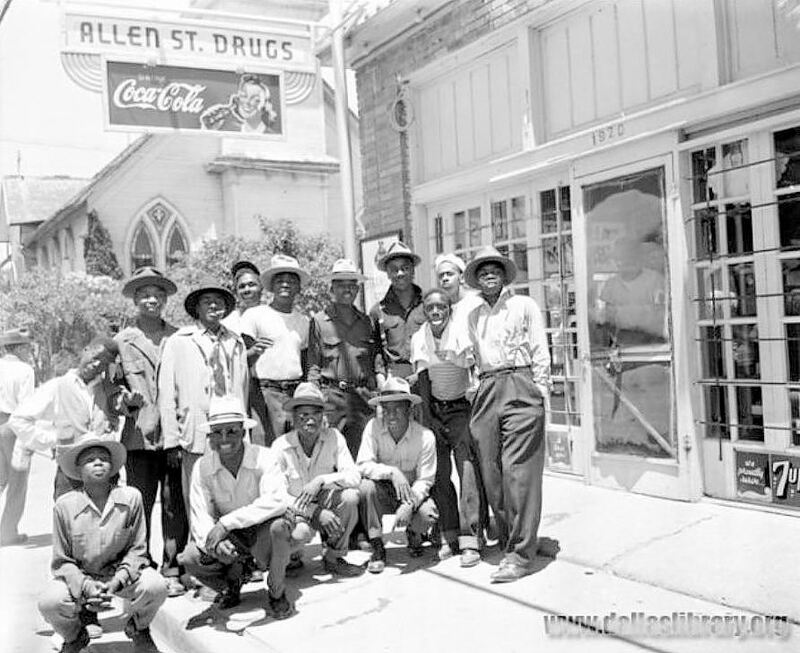 The third annual NAACP Southwest Region Conference was held in Dallas, March 24-26, 1950. 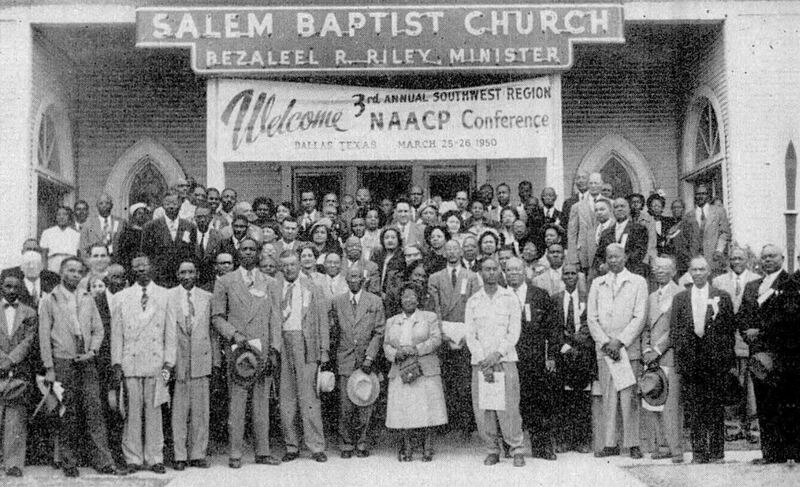 Above we see the top delegates (out of about 200 attendees), standing in front of the Salem Baptist Church, then located at 710 Bourbon in South Dallas. 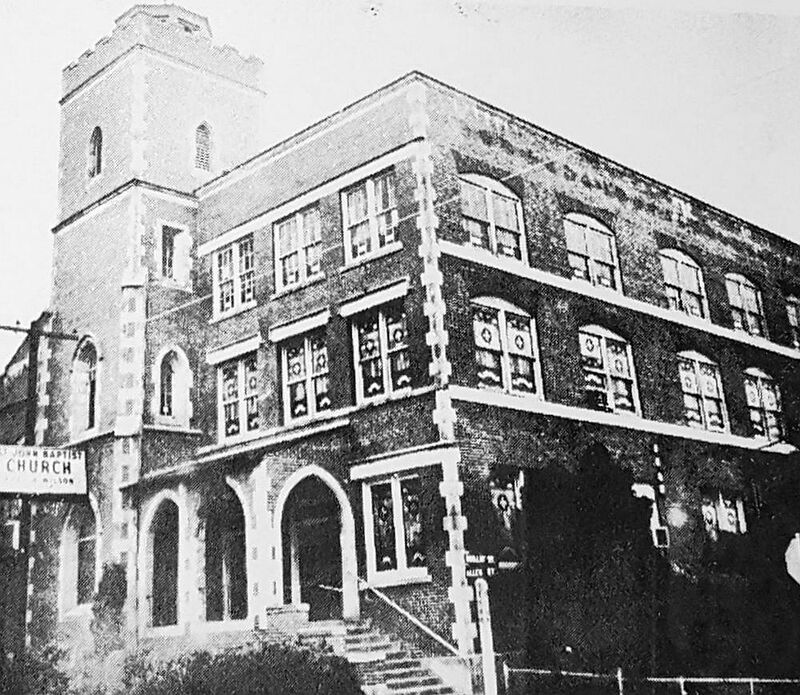 One of their main objectives was to increase NAACP membership in order to more effectively tackle issues of civil rights and social injustice. 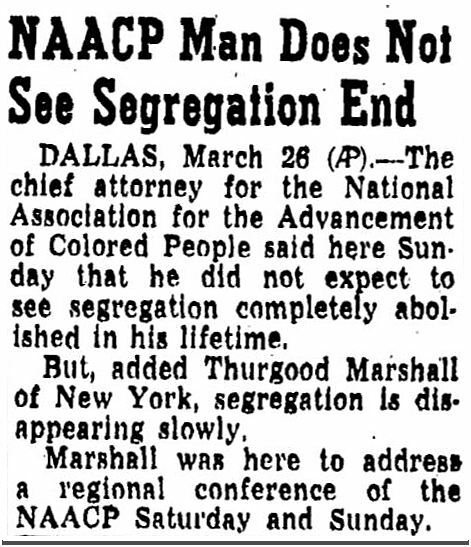 The conference’s main speaker was special counsel to the NAACP, Thurgood Marshall. 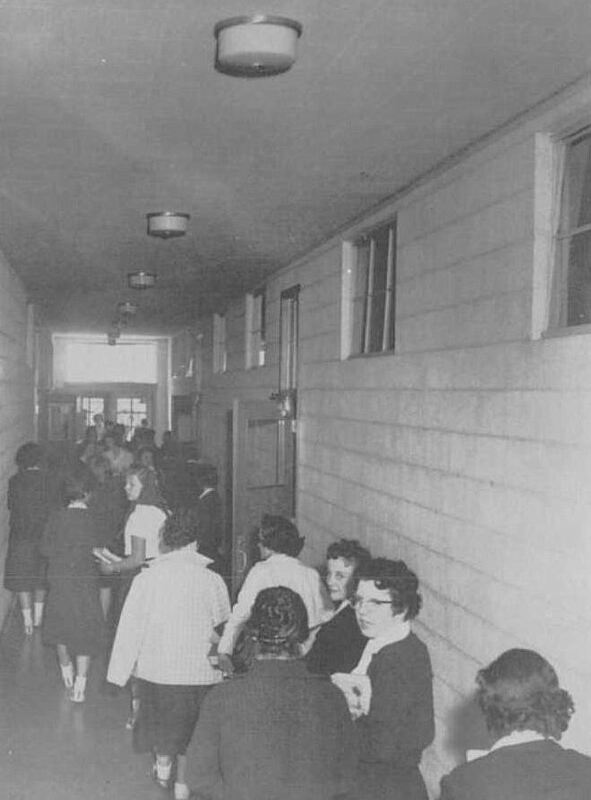 During the conference, he stated that, although there was slow and steady progress being made by African-Americans in American society, he did not expect to see racial segregation abolished in his lifetime. 17 years after this statement, Thurgood Marshall was appointed by President Lyndon Johnson to serve as a justice on the United States Supreme Court. 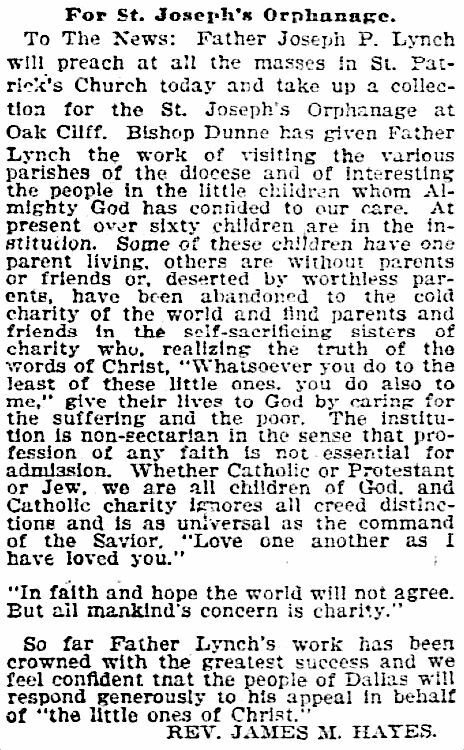 Below, the review of the conference that appeared in the April, 1950 issue of the NAACP magazine, The Crisis (click to see larger image). 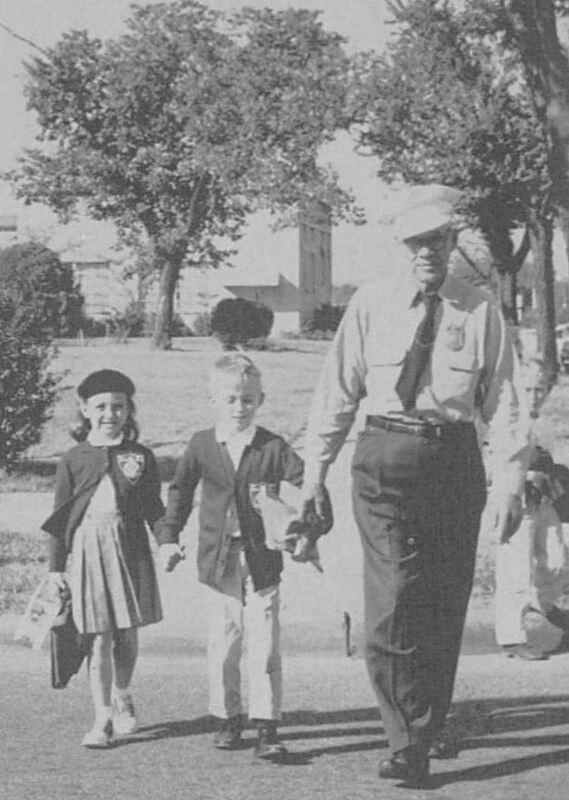 Top photo from the June, 1950 issue of The Crisis, the magazine published by the NAACP. 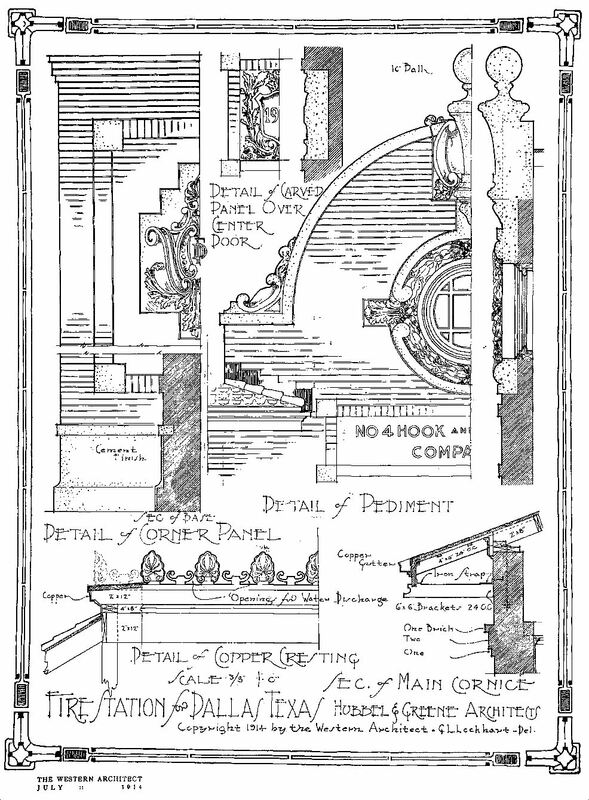 Many decades’ worth of scanned issues of the magazine are viewable via Google Books, here. 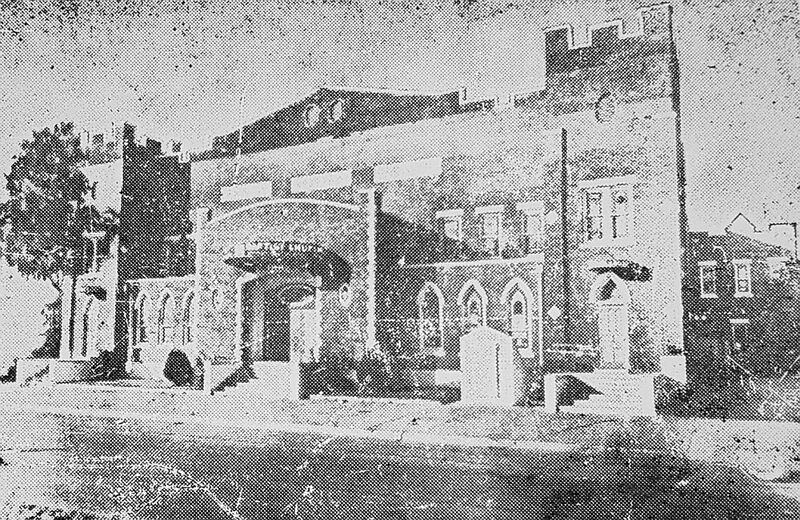 The Salem Baptist Church was, at the time of the photo above, located at 710 Bourbon in South Dallas. 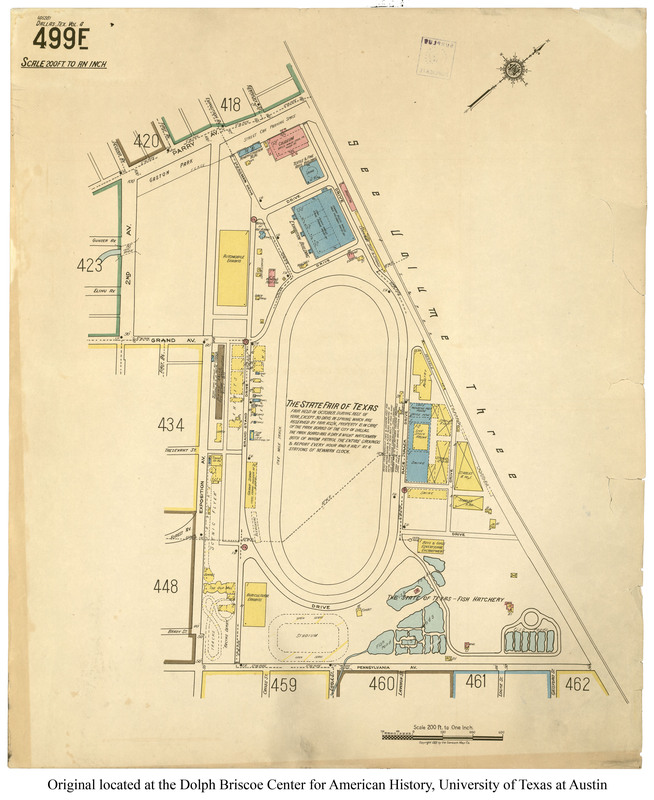 According to the church’s website, the church moved from that location in the early 1960s when the site was one of many purchased by the Texas Highway Department to be demolished for highway construction. 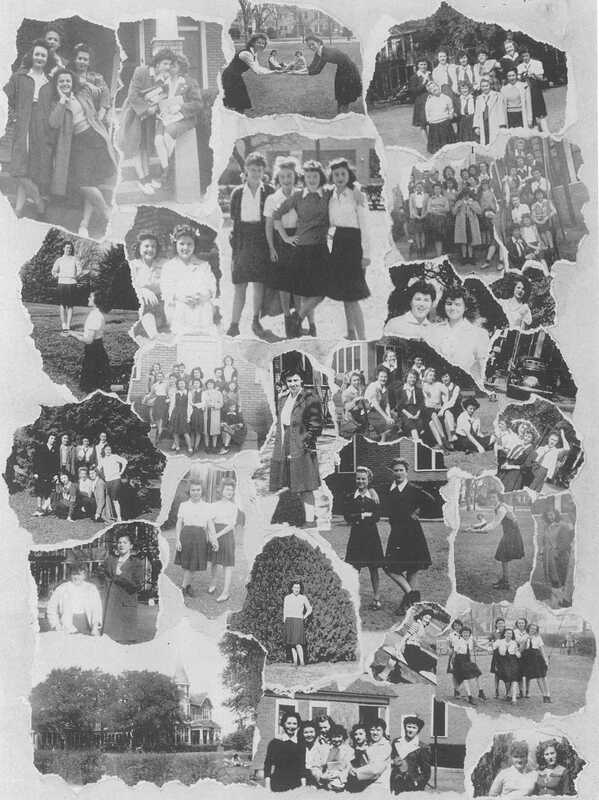 Click photo and news clippings for larger images. 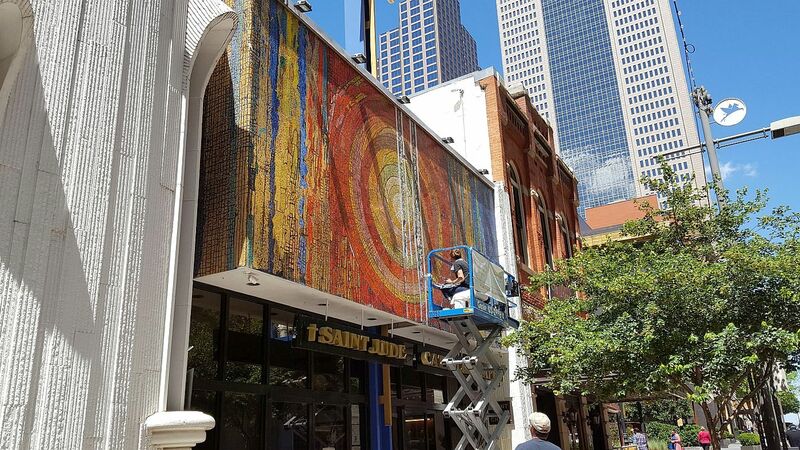 A couple of weeks ago I went downtown to check out the restoration of the large mosaic above the entrance to the St Jude Chapel on Main Street. 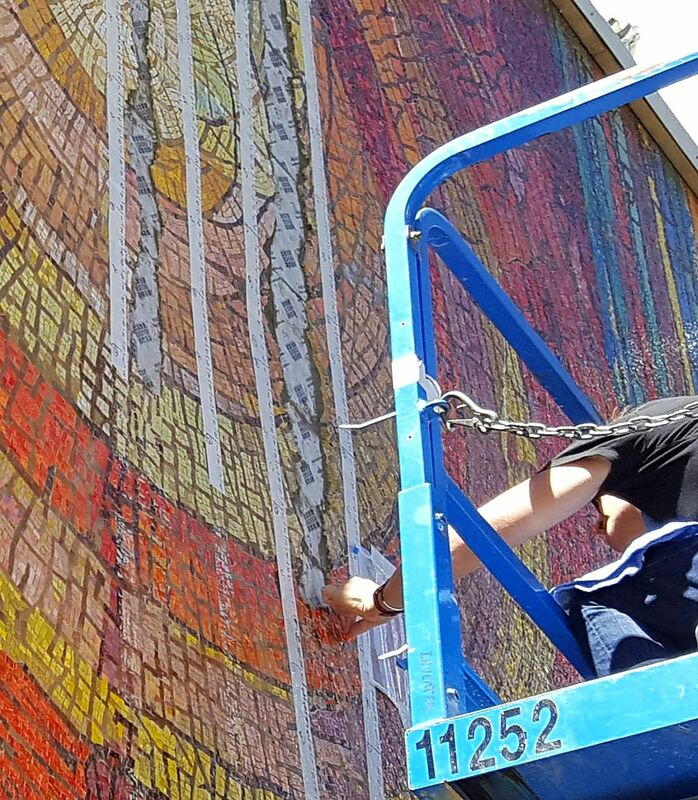 The 1968 Gyorgy Kepes mosaic (which I wrote about here) is undergoing needed repair work, restoration, and cleaning, in preparation for next year’s 50th anniversary of the downtown chapel. The work on mosaics inside the chapel as well as the large one outside is being done by artist and preservationist Julie Richey of Julie Richey Mosaics in association with Art Restorations, Inc.
As you can imagine, the outdoor mosaic overlooking Main Street has, for 50 years, weathered everything from intense summer heat, freezing temperatures, automobile exhaust, slight shifting of the building’s structure, damage to individual tiles, mildew, grout decomposition, and a host of other factors, all of which led to the much-needed restoration work. A couple of things that I found interesting, in talking with Julie Richey and Cher Goodson (of Art Restorations, Inc.) was that there are over 800,000 glass smalti tiles (or tesserae) forming the sunburst mosaic. 800,000! I had no idea it was so large until I was standing right below it. After missing or damaged tiles have been replaced, all 800,000-plus will be cleaned — by hand, I think — with, as Cher told me, Dawn dishwashing liquid (good for cleaning greasy dishes, oil-soaked waterfowl, and Venetian glass tiles). 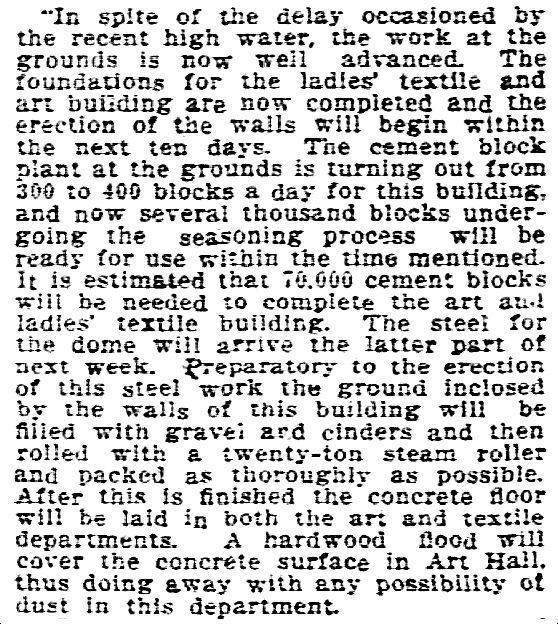 Speaking of those tiles, one of the most serendipitous moments in this project was when Julie was able to track down slabs of smalti in New York which were the very same smalti used in the original 1968 mosaic — they had been kept in storage for 50 years, and they look brand new. That means that the tesserae being used to replace the damaged or missing tiles are from the exact same batch as the originals, which means the vivid colors, the composition, the opacity, and the surface texture are the same. That is an incredible stroke of luck! 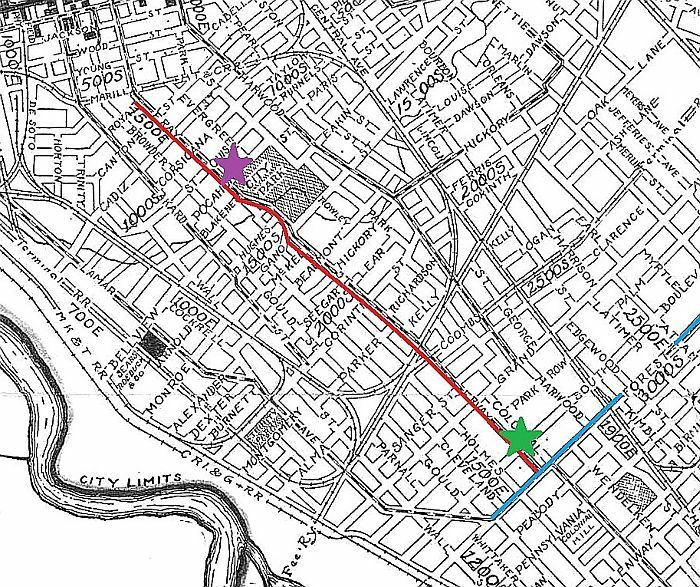 The work should be wrapping up soon — if you’d like to catch the last few days of this project, hop downtown and say hello to the women doing such great work! (UPDATE: The project actually ended Friday. But you should still go down and take a look at it!) 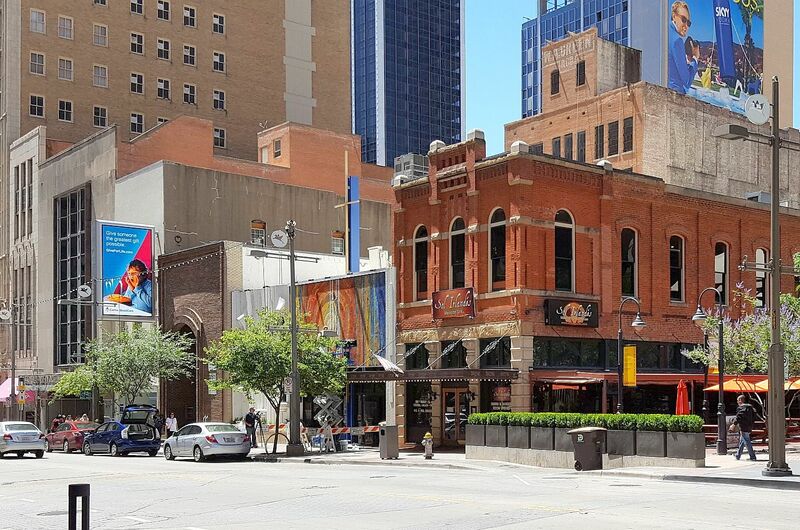 While you’re there, you should step inside to see the little chapel, a calm and peaceful oasis in the heart of downtown. 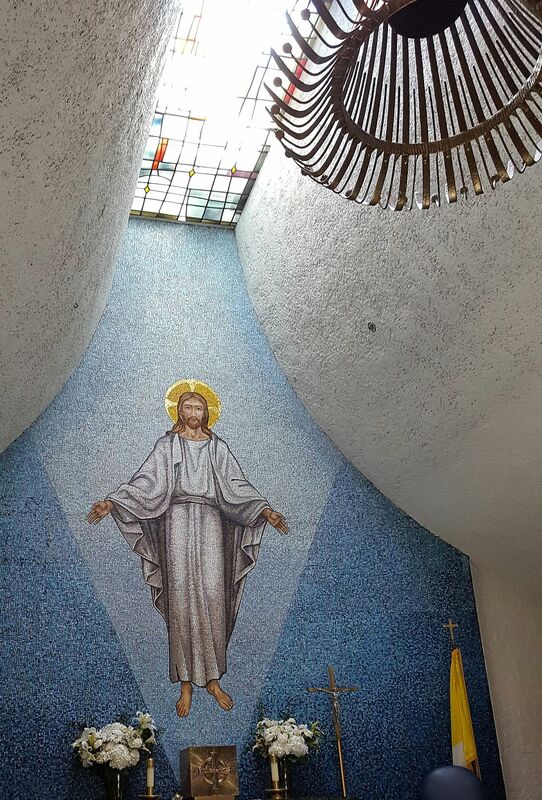 There are several other mosaics inside — Julie and company did work on some of those as well, most notably the very large, striking “Risen Christ” above the altar. Below are some photos I took inside and outside the chapel on May 24, 2017 — most are larger when clicked. 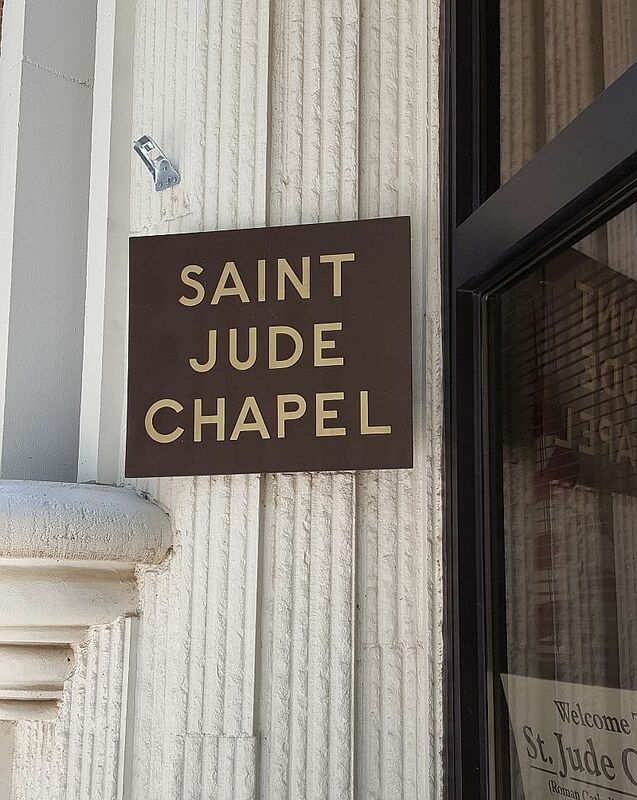 St. Jude Chapel is in the 1500 block of Main, between Ervay and Akard. Here it is, seen from Neiman’s, across the street. 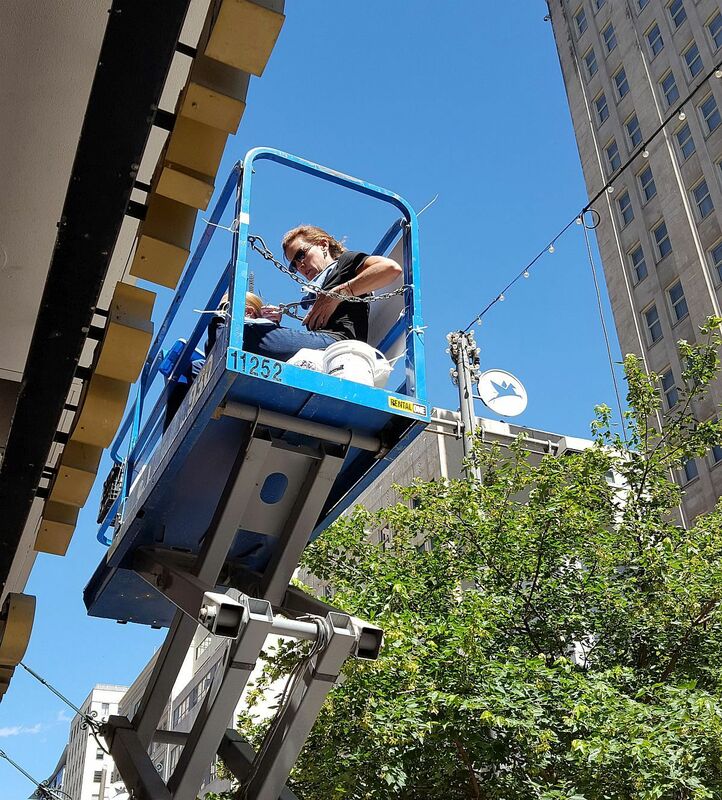 The photo at the top of the post shows the lift used to tackle the job; looking on is Dallas filmmaker Mark Birnbaum who is documenting the project. Below, Julie Richey and Lynne Chinn are raised up on the lift to do their torturously tedious and very, very detailed work (imagine working on this huge thing using tweezers!). Julie can be seen snipping “new” smalti to replace the damaged or missing tiles, working from photos, diagrams, grids, graphs, and guides to make sure the restoration is as close as possible to the original mosaic: the colors must match, the shapes must match, the placement must match. You really have to be focused to do work like this. Here, Julie is setting a tiny piece into that giant mosaic (the marked vertical strips of tape help map the mosaic and insure that everything goes back in exactly as it was originally placed in 1968. Speaking of snipping the smalti (which sounds like a naughty euphemism used amongst naughty mosaicists), here’s what’s left over, below. 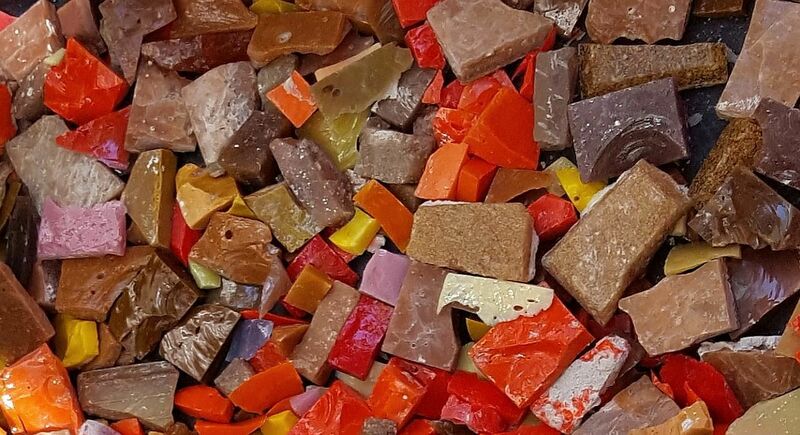 I talked to conservator Callie Heimburger, who gave me a lot of interesting information on how the whole intricate process worked — she was set up at a table on the sidewalk and had containers full of these beautiful discarded glass shards in front of her. I really wanted to scoop up a handful and sneak them into a pocket, but I managed to control myself. And smalti? 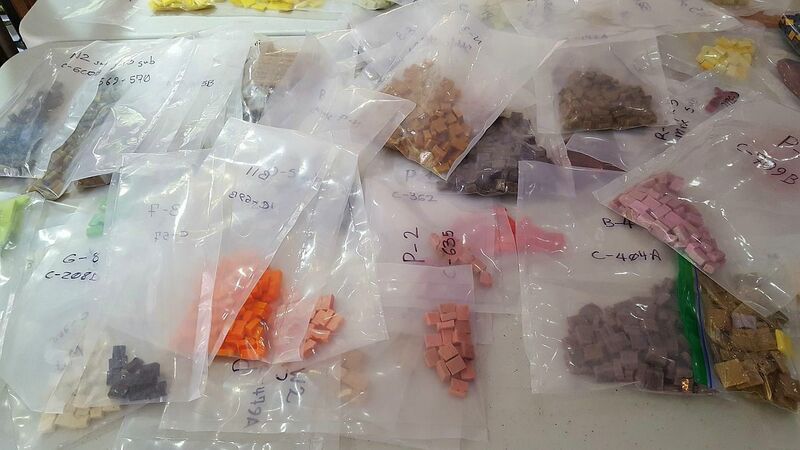 Here are bags of “new” bagged tiles — not shown are the slabs or the larger pieces which look a little like brightly colored peanut brittle. Julie asked if I wanted to go up on the lift and take a closer look. It was even more impressive (and a little overwhelming) to be right next to it. I also got to take a look over the top of the building. 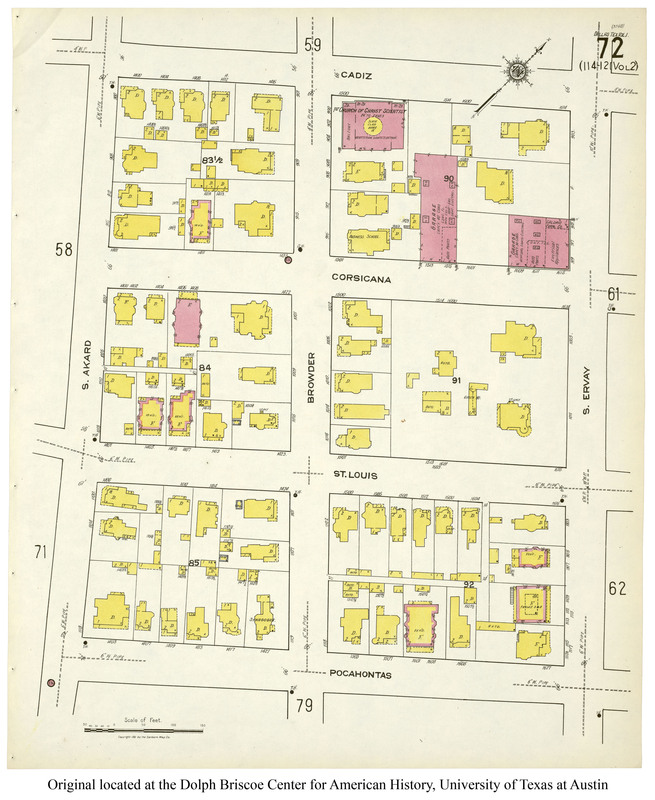 There Julie pointed out all that remains of one of downtown’s biggest and busiest retail stores, W. A. Green. 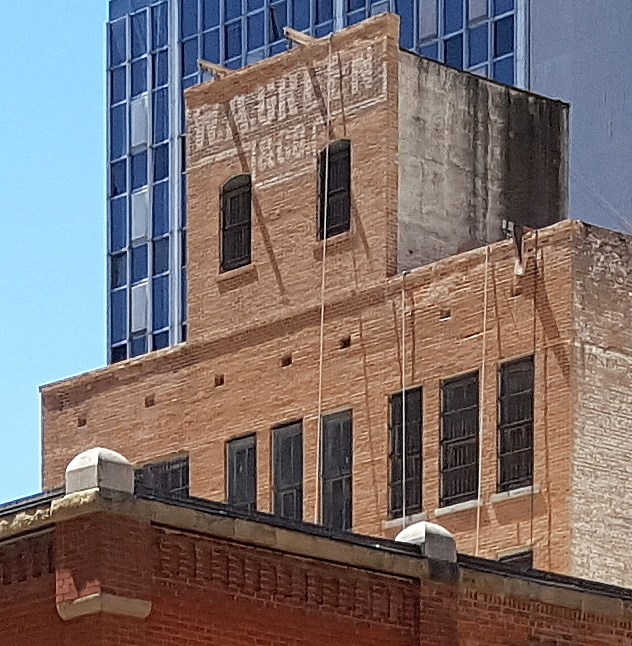 I didn’t have the presence of mind to get a good photo up there, but here’s the “ghost sign,” seen from across the street. Since I was there, I had to step inside to see what the little chapel looked like. It’s very charming. And the mosaics inside are also impressive. Here’s what you see as you step in. 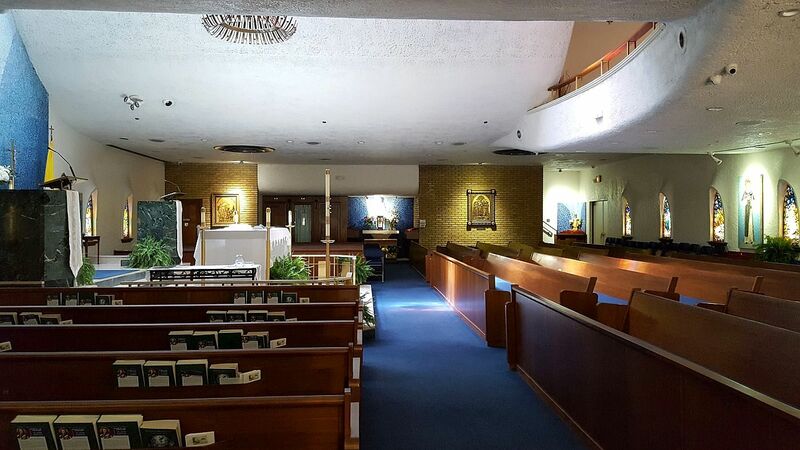 To your left is the altar. 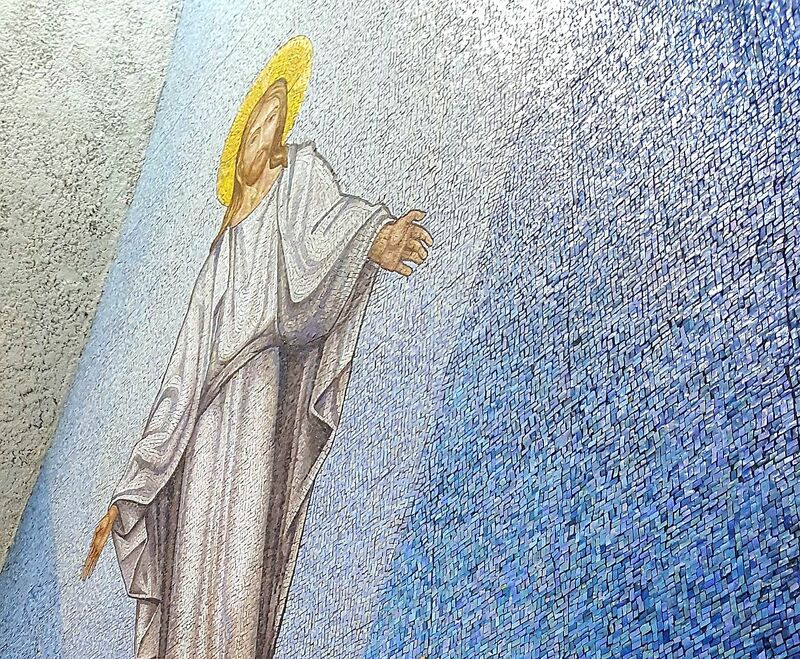 This lovely mosaic was also restored and cleaned. 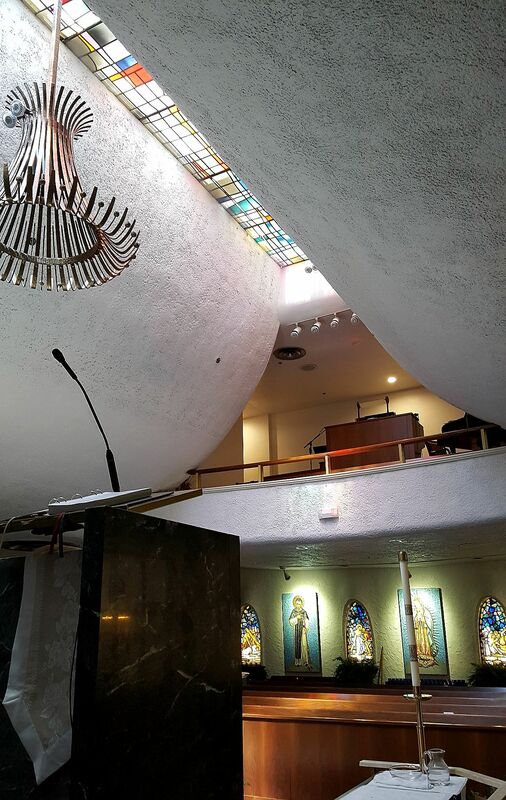 Also: curved walls, a stained glass skylight, and a light fixture that is one of my very favorite decorative elements of this chapel. 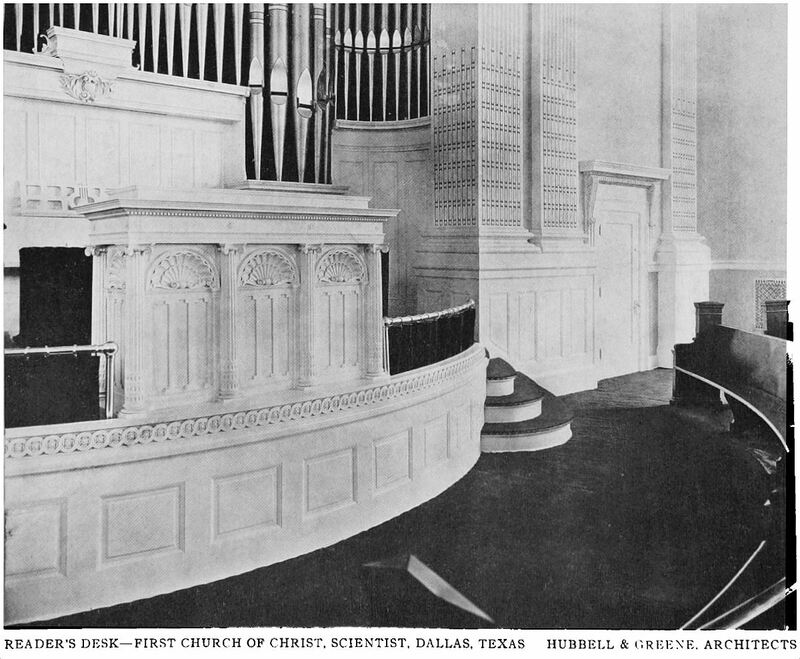 Turn around, and from the pulpit you can see the choir loft. 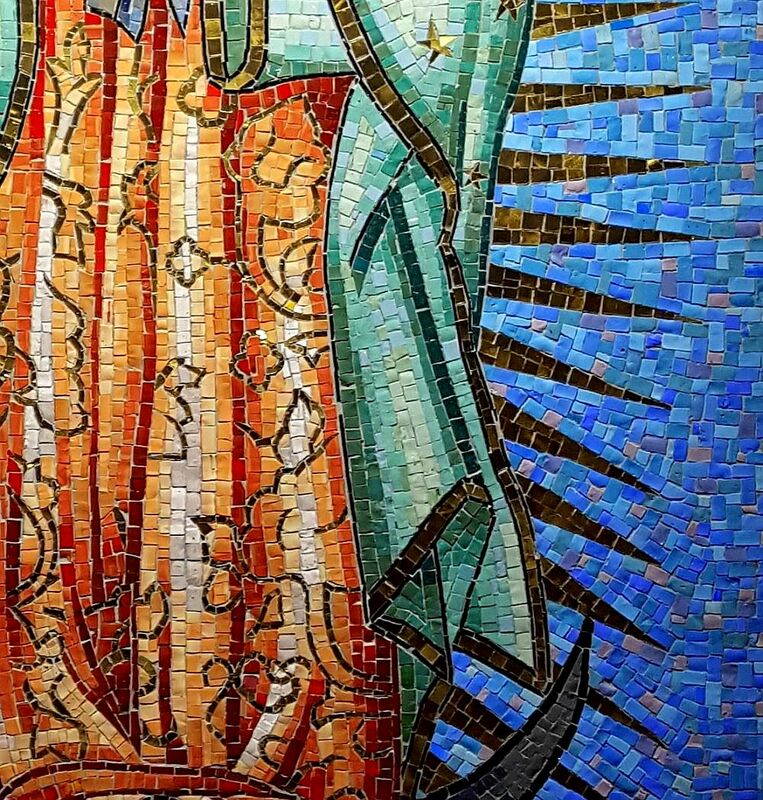 A wonderful depiction of Our Lady of Guadalupe. 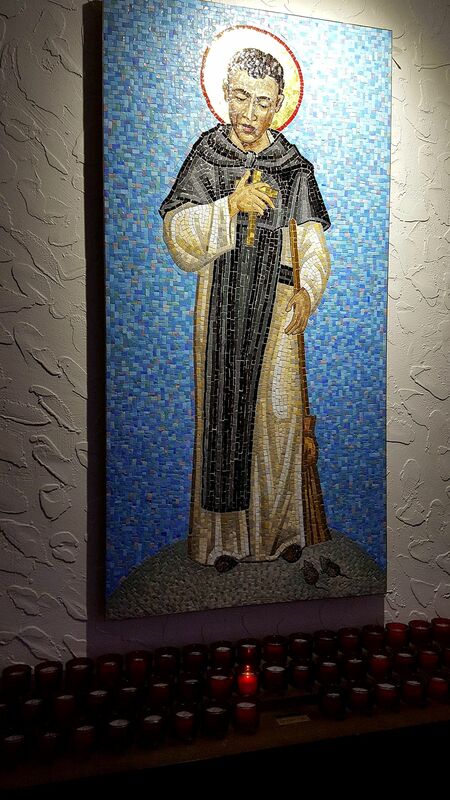 I’m afraid I’m not very well-versed on my saint iconography, but this might be St. Martin de Porres, with a broom, and mice at his feet. 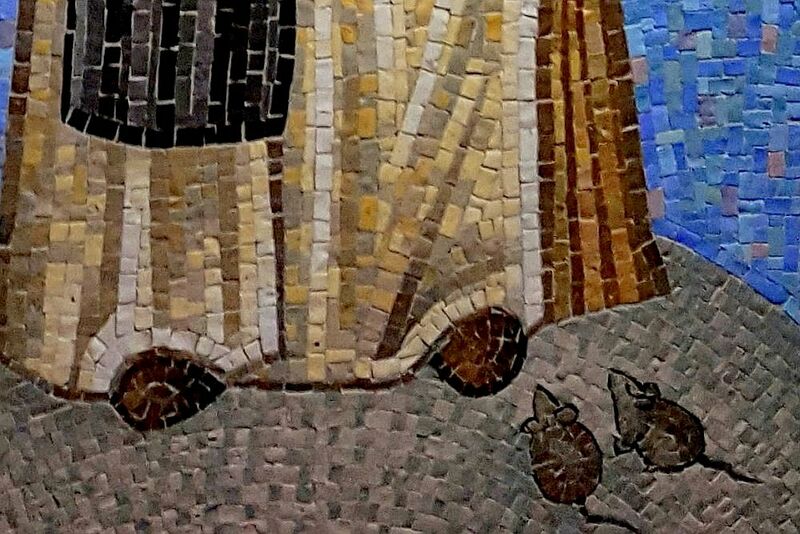 Leave it to me to find these little mosaic mice, my favorite tiny discovery of the day. 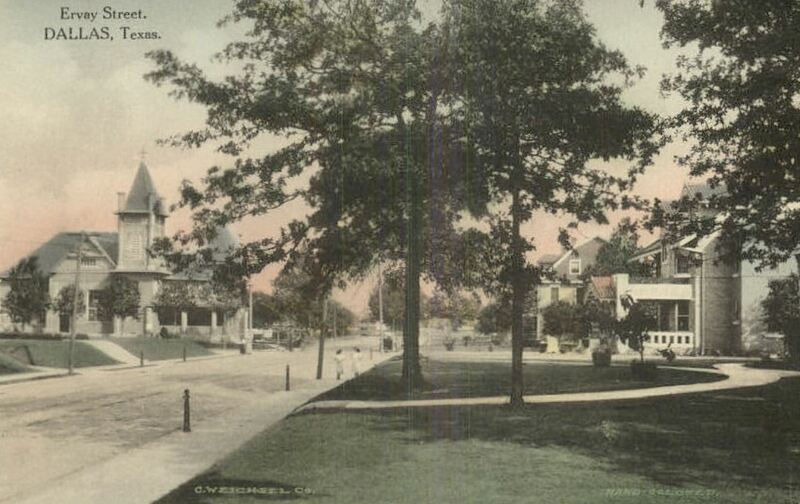 And here’s the view from the chapel toward Main Street. 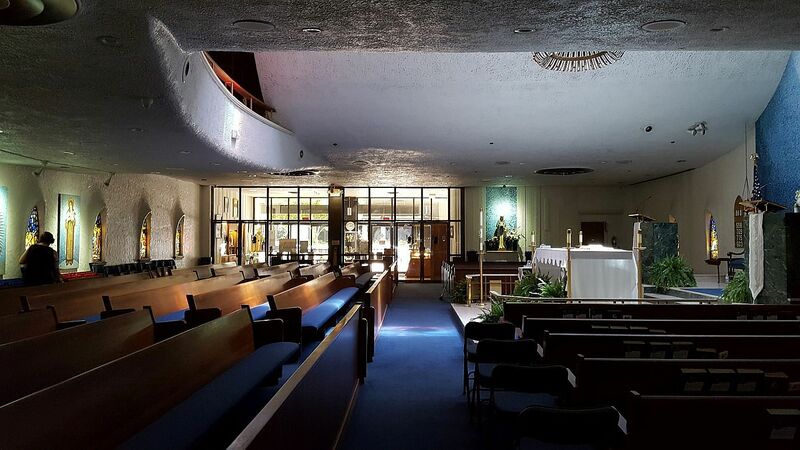 The St. Jude Chapel offers a nice, tranquil respite from a loud and busy downtown Dallas. You should visit sometime. All are welcome. UPDATE: Dallas filmmaker Mark Birnbaum was working on a short documentary of the project when I stopped by the site (you can see the back of his head in the top photo). 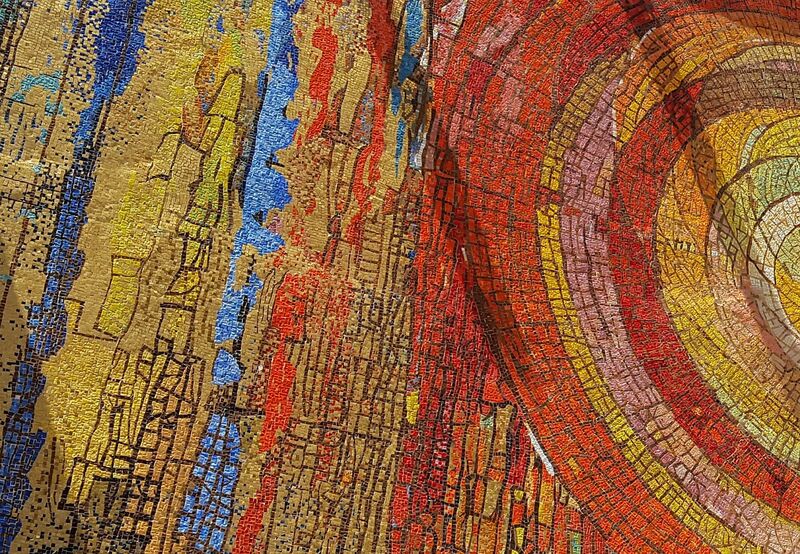 His 10-minute film, “Genesis Mosaic,” can be viewed here. Thanks so much to Julie Richey, Callie Heimburger, Cher Goodson, and Lynne Chinn for taking the time to chat with me. 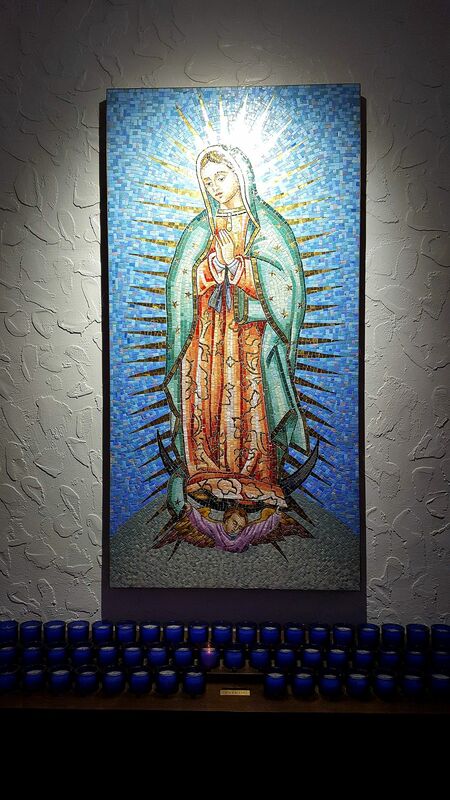 Julie Richey Mosaics website is here; Art Restorations, Inc. website is here. You can see more on this project (including photos and video) on Julie’s Facebook page, here, and Art Restorations’ Facebook page, here; see photos from the Risen Christ restoration on Julie’s blog, here. 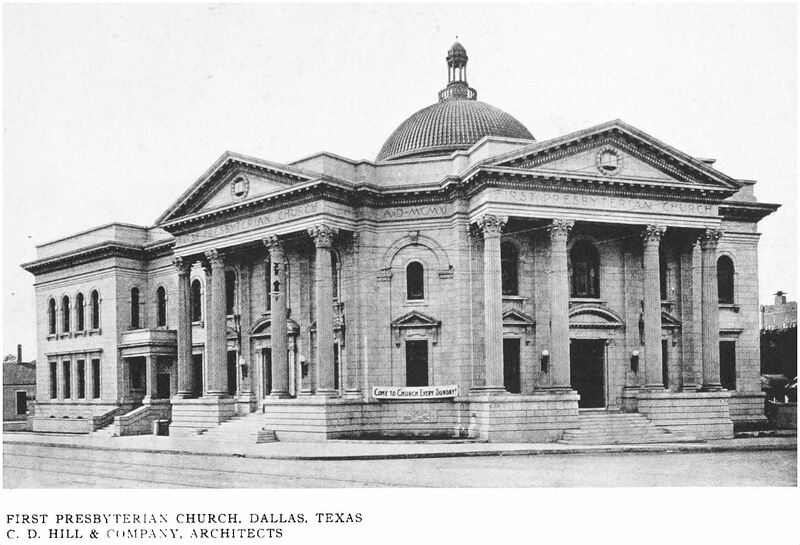 The St. Jude Chapel (Roman Catholic Diocese of Dallas) website is here; videos on the history of the downtown chapel are here. All photos by Paula Bosse. 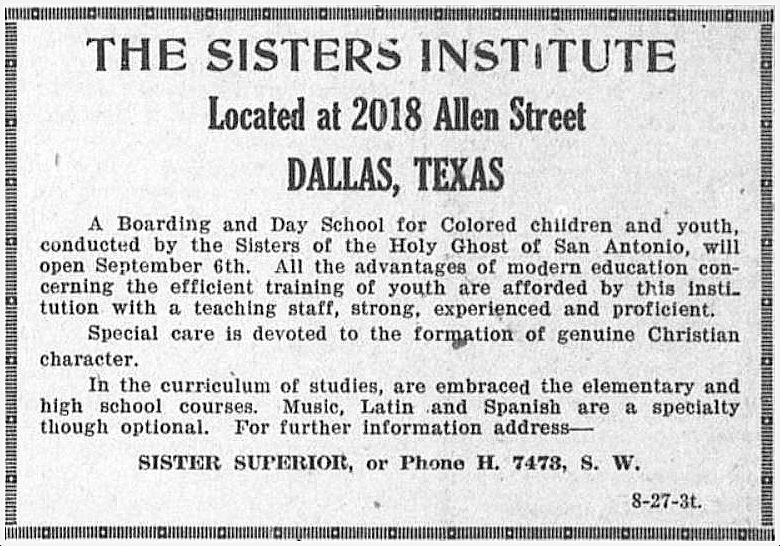 Flipping through the pages of the 1967 Souvenir Program of the 74th Annual Session of the Missionary Baptist General Convention of Texas and Its Auxiliaries (…as one does), I kept coming across ads featuring photos of Dallas churches and wondered how many were still standing. Out of the twelve I’m posting here, all but three are still standing. That’s a healthy survival rate! 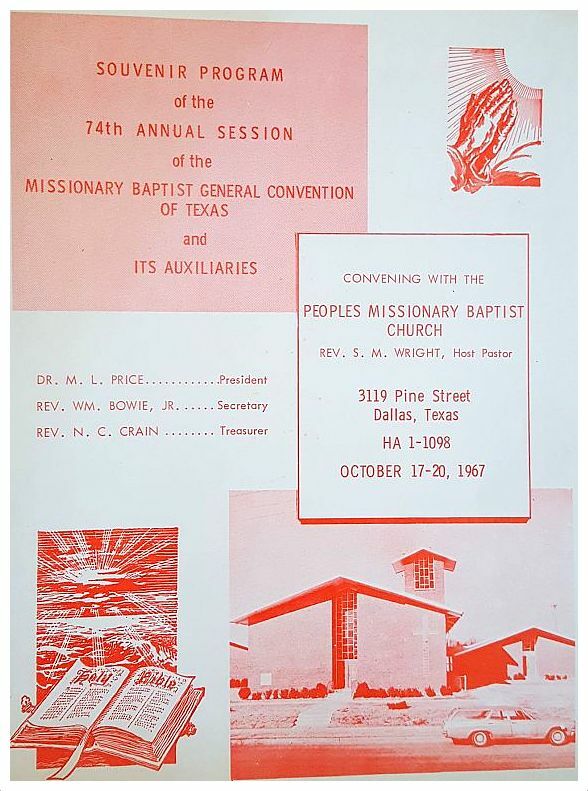 All photos are from the above-mentioned program for the Missionary Baptist General Convention of Texas, which convened in Dallas, October 17-20, 1967. 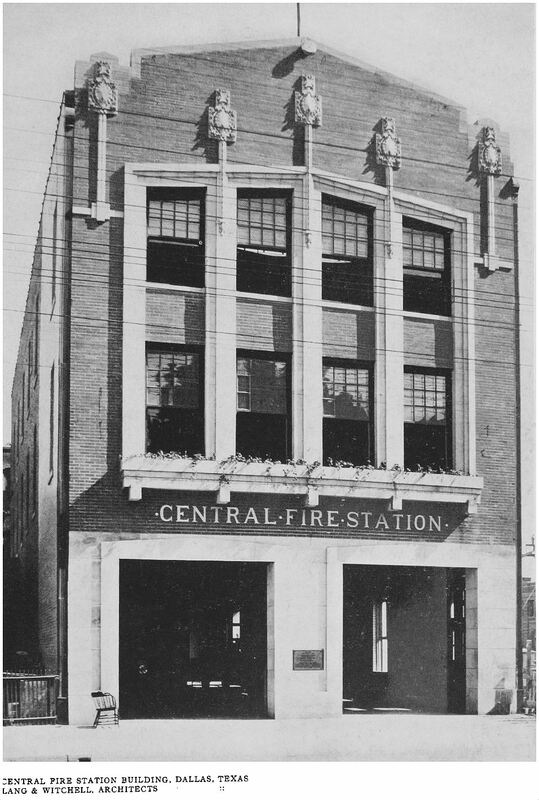 All photos (which are larger when clicked) appeared in this 1967 booklet, but a few were older photos taken in previous years or decades. 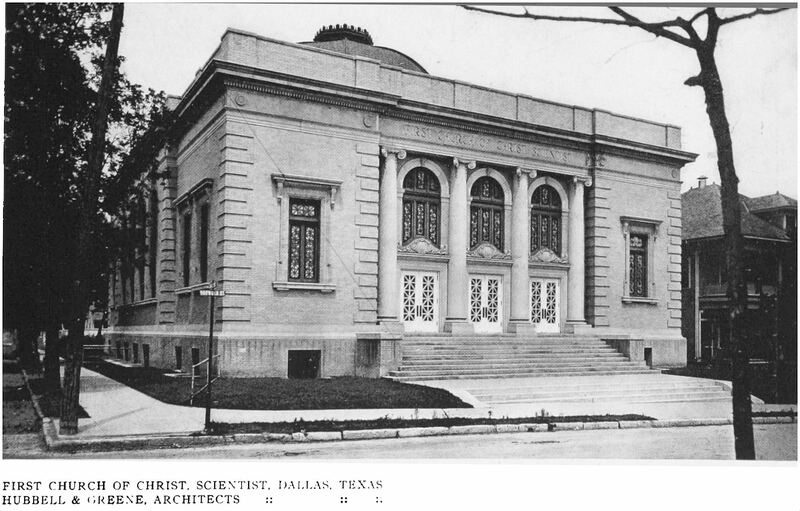 Allen Chapel Baptist Church, 2146 Overton Road, Oak Cliff (Rev. 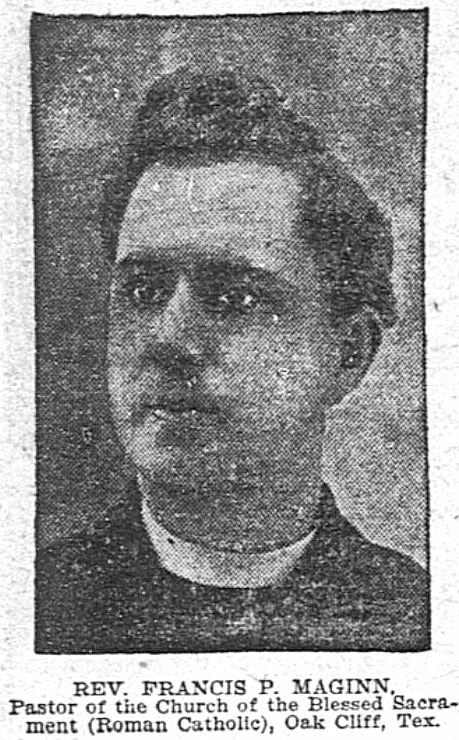 J. R. Allen, Pastor). Still standing, here. 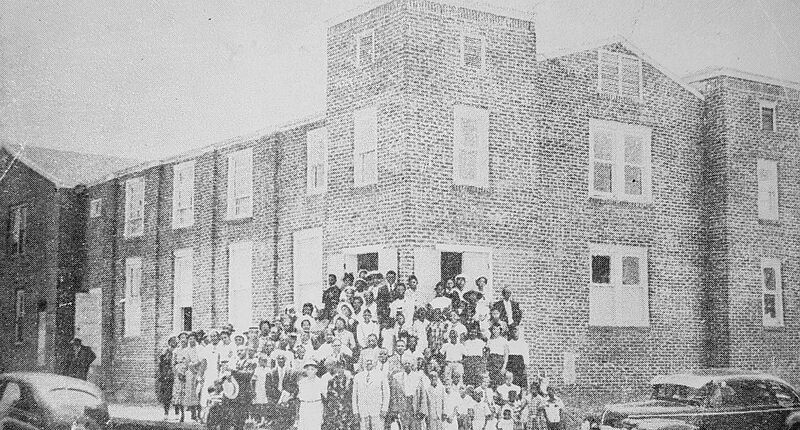 Morning Star Baptist Church (photo circa 1947, the year the brick church was built), 2662 Anderson Street, South Dallas (Rev. Howard Gill, Pastor). Still standing, here. 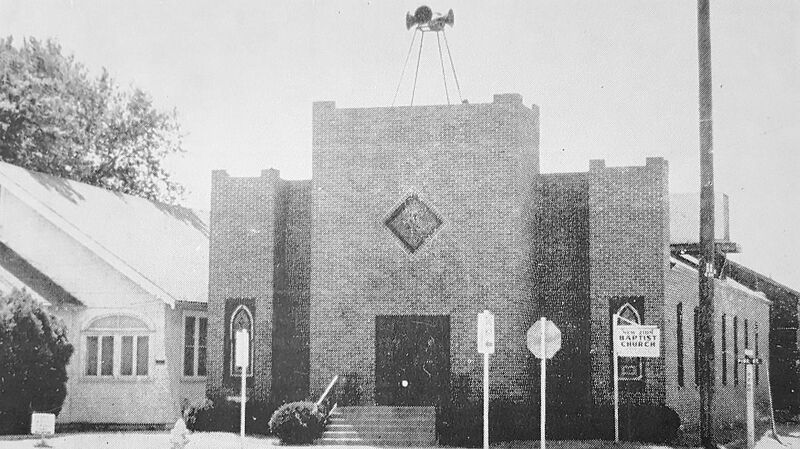 Good Street Baptist Church, 902 N. Good-Latimer (between Live Oak and Bryan) (Dr. Cesar Clark, Pastor). No longer standing. 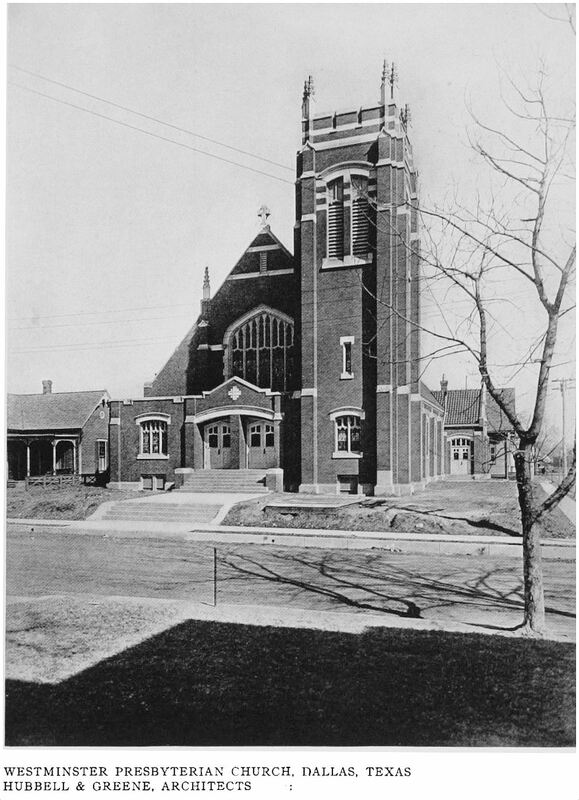 Oak Hill Missionary Baptist Church, 4440 S. Oakland Avenue (now Malcolm X Blvd. 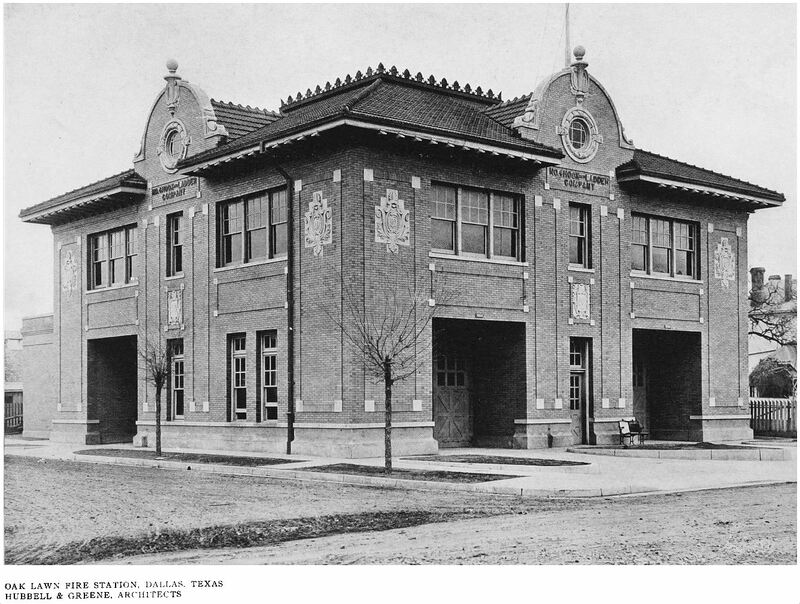 ), South Dallas (Rev. 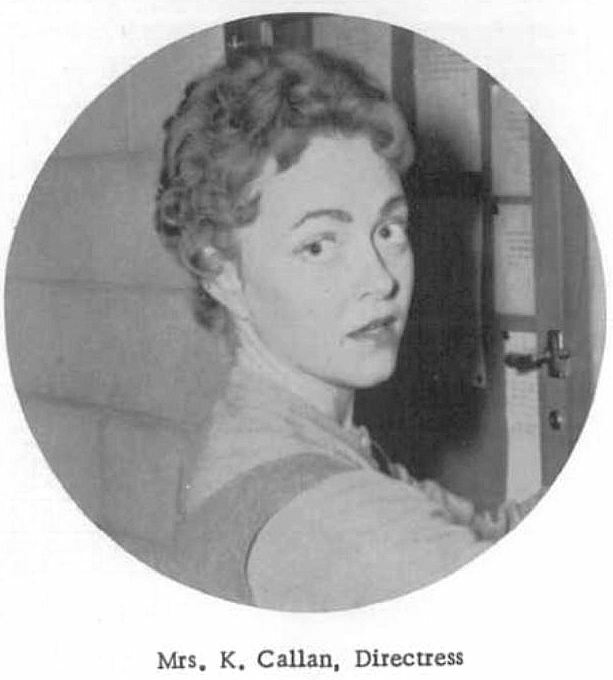 M. G. Solomon, Pastor). 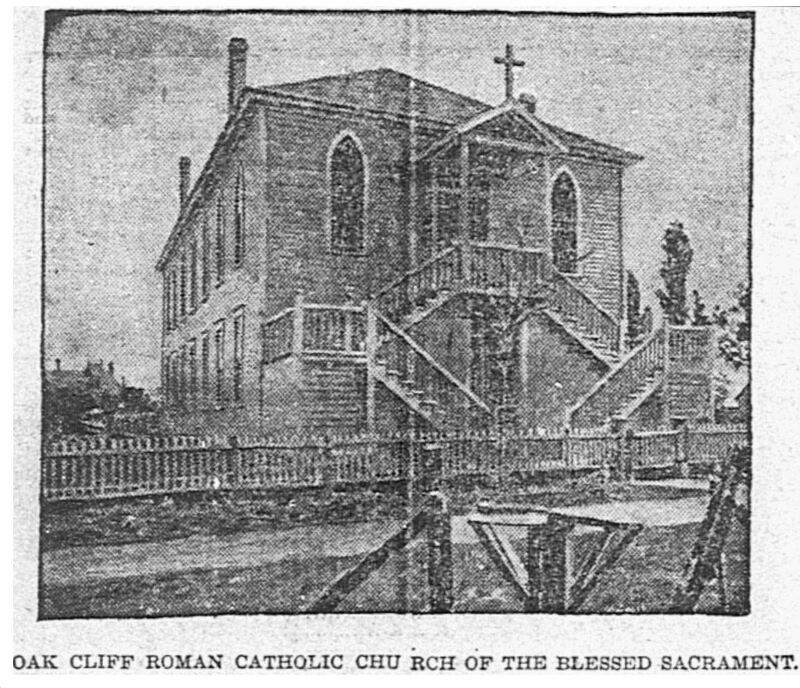 Drawing of their “future church building.” Still standing, here. 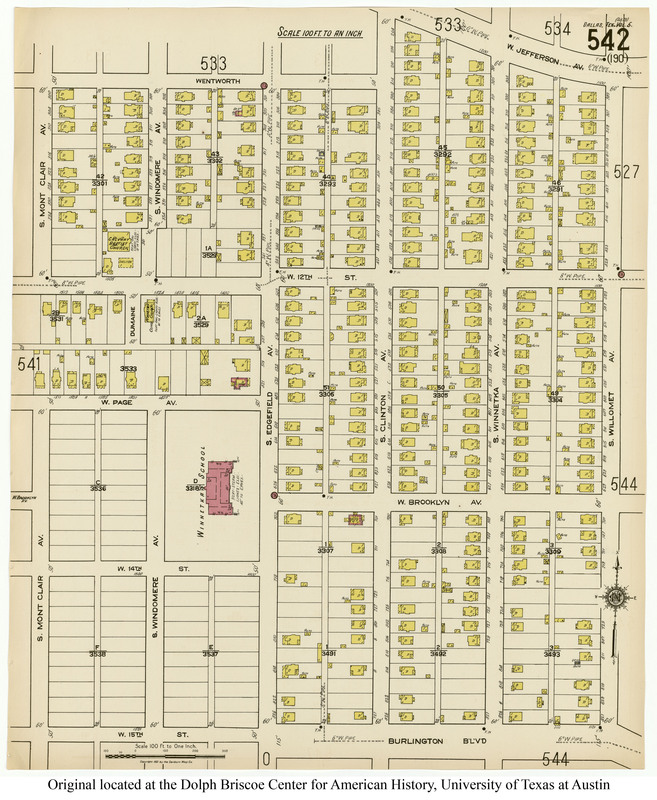 Bethany Baptist Church, 6710 Webster Street, Love Field area (A. L. Schley, Pastor). Still standing, here. 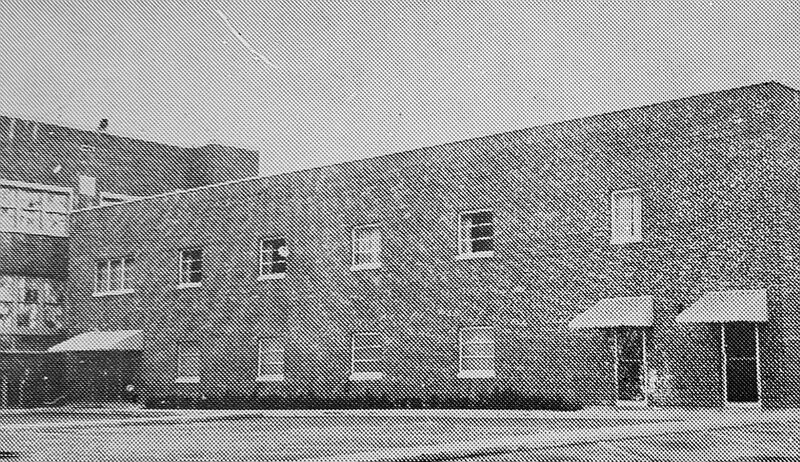 Munger Avenue Baptist Church, 3919 Munger Avenue (not to be confused with N. Munger Blvd. 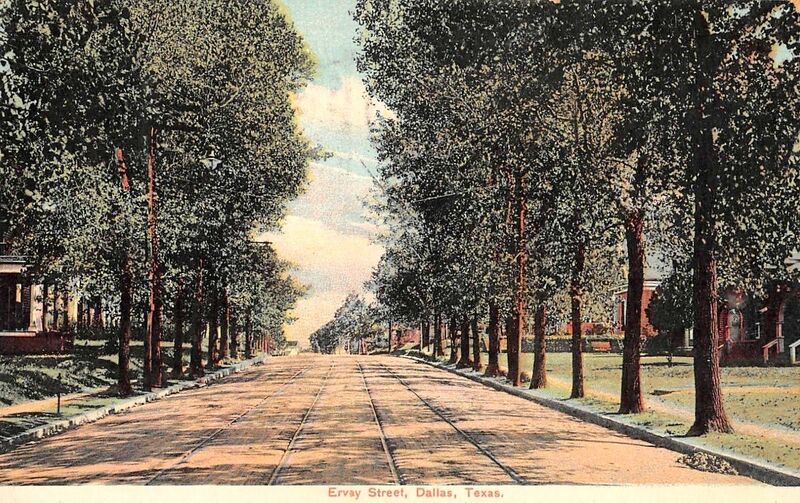 ), near Haskell and Washington, in what used to be the thriving African-American neighborhood of North Dallas (Rev. 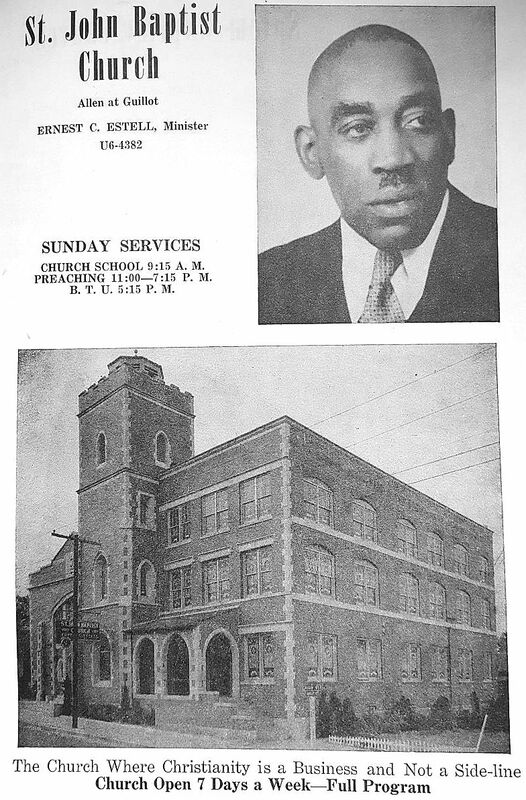 B. E. Joshua, Pastor). Still standing, here. 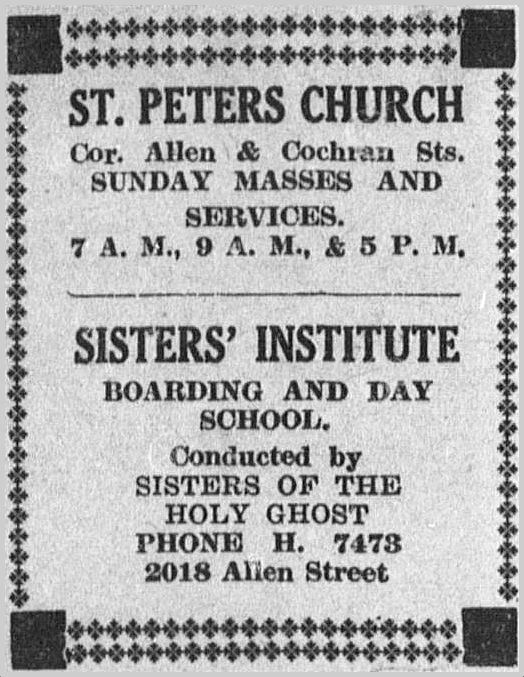 Pilgrim Rest Missionary Baptist Church, 2525 Caddo Street, just a few blocks from Munger Avenue Baptist Church (Rev. G. B. Prince, Pastor). 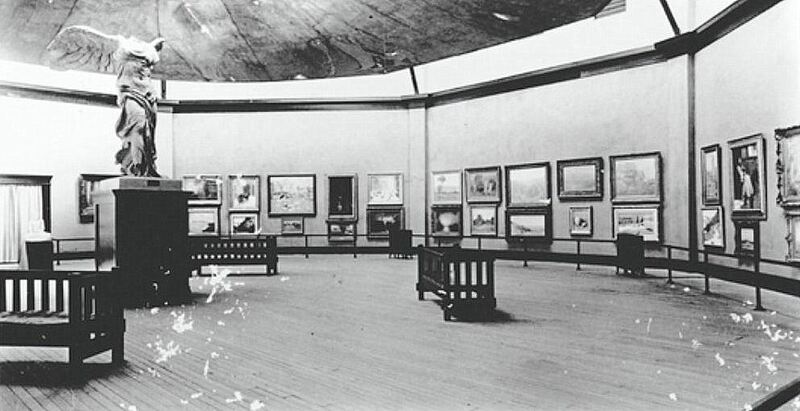 No longer standing. 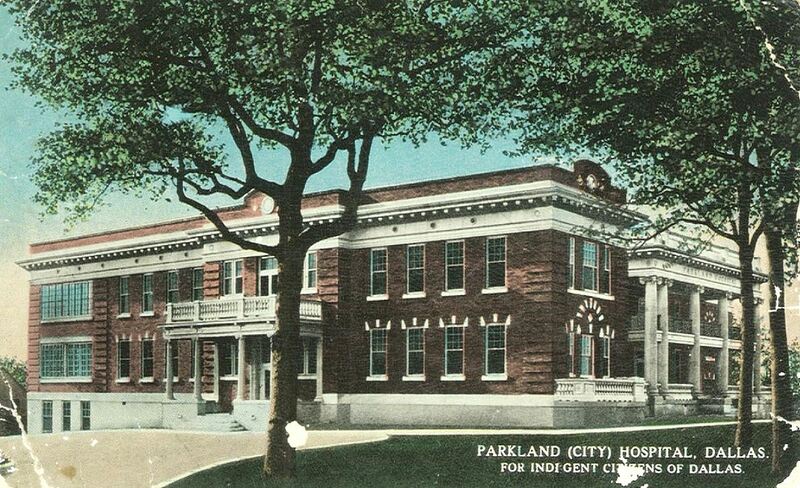 The property was sold to the Southland Corporation in 1983 — its location is now occupied by a Cityplace parking lot. 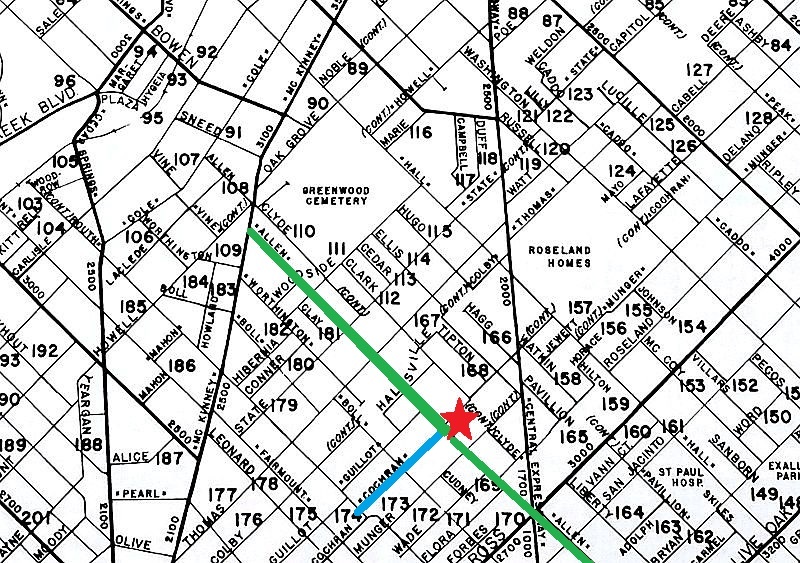 According to the history of the church, Pilgrim Rest moved to 1819 N. Washington in 1985. 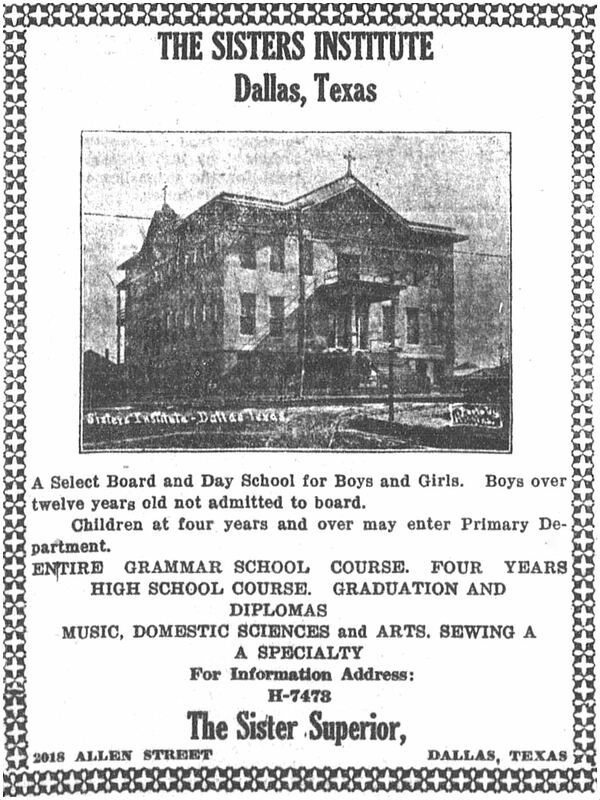 Mount Moriah Missionary Baptist Church, 3611 Latimer Street, South Dallas (Rev. B. F. Briggs, Pastor). Still standing, here. 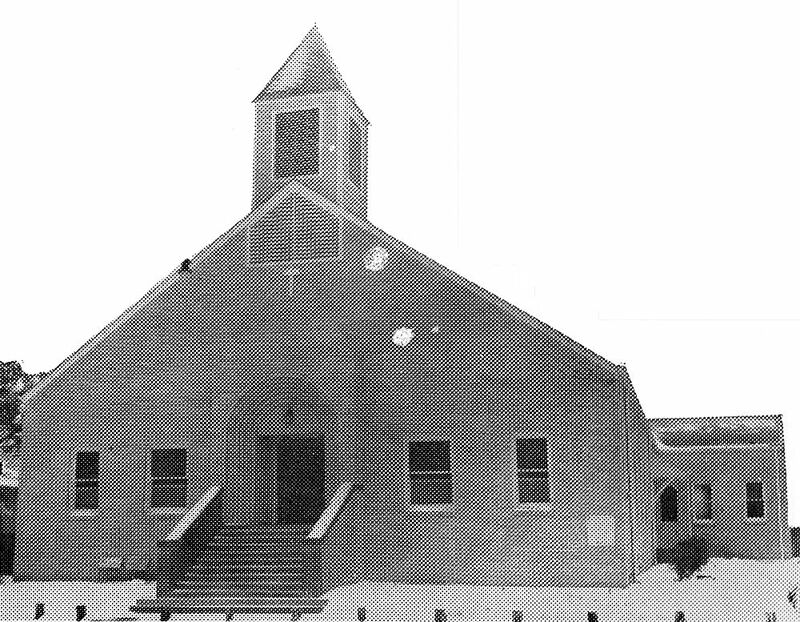 St. John Baptist Church, 2019 Allen Street, State-Thomas area (Robert H. Wilson, Minister). 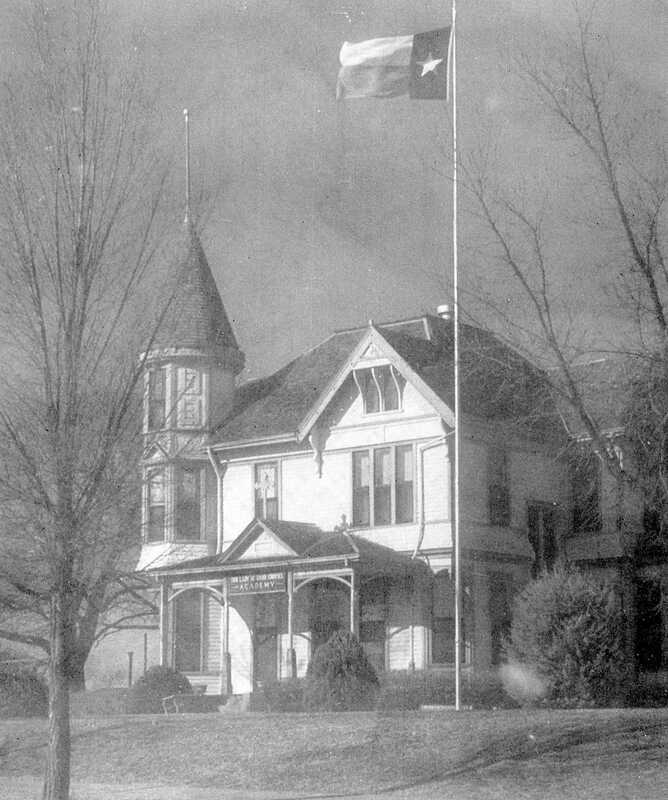 No longer standing. 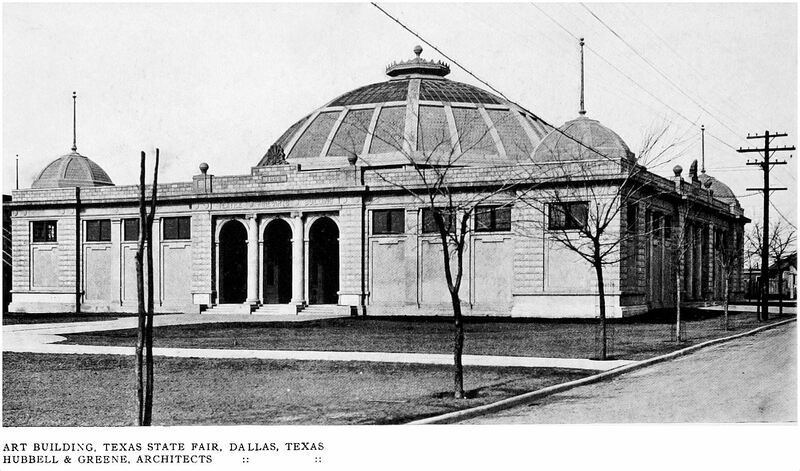 New Zion Baptist Church, 2214 Pine Street, South Dallas (Rev. A. V. Voice, Pastor). 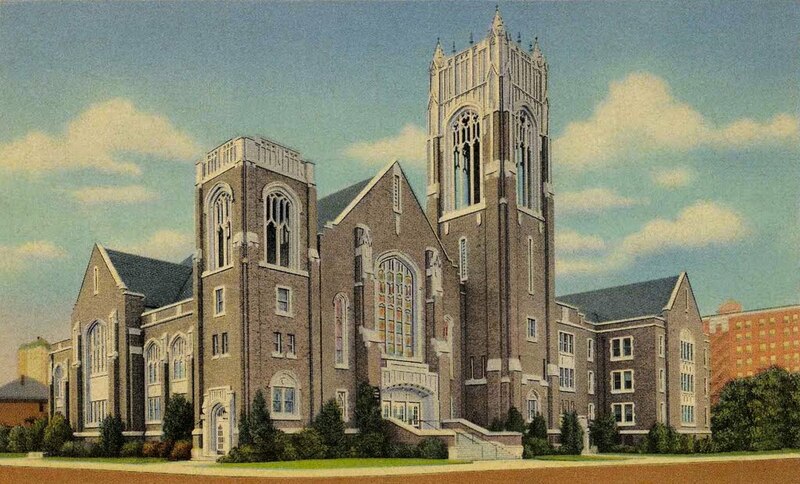 Now Greater New Zion Church, this is my favorite of these twelve buildings, and it still looks good, here. 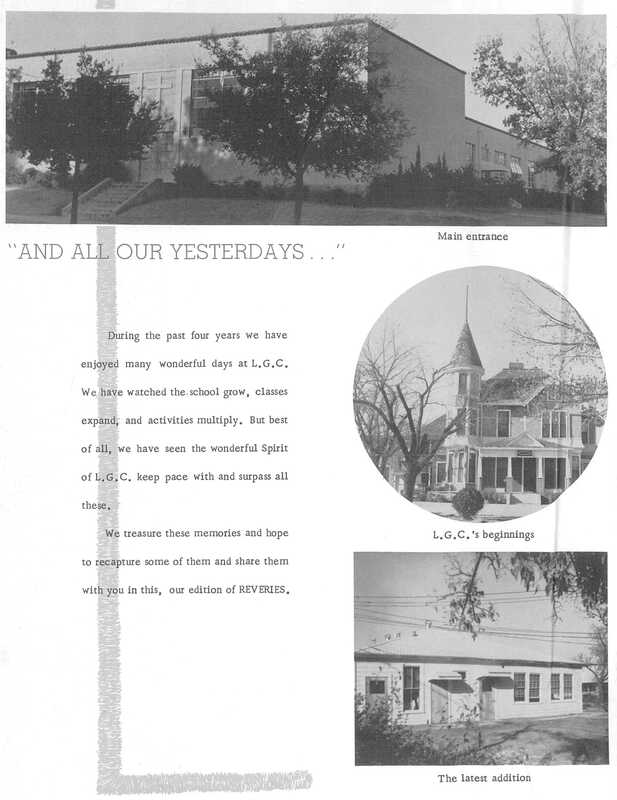 All photos from the Souvenir Program of the 74th Annual Session of the Missionary Baptist General Convention of Texas and Its Auxiliaries, which was held in Dallas in October, 1967. Many thanks to George Gimarc for passing this wonderful little booklet on to me. I hope to share more from its pages in the future. 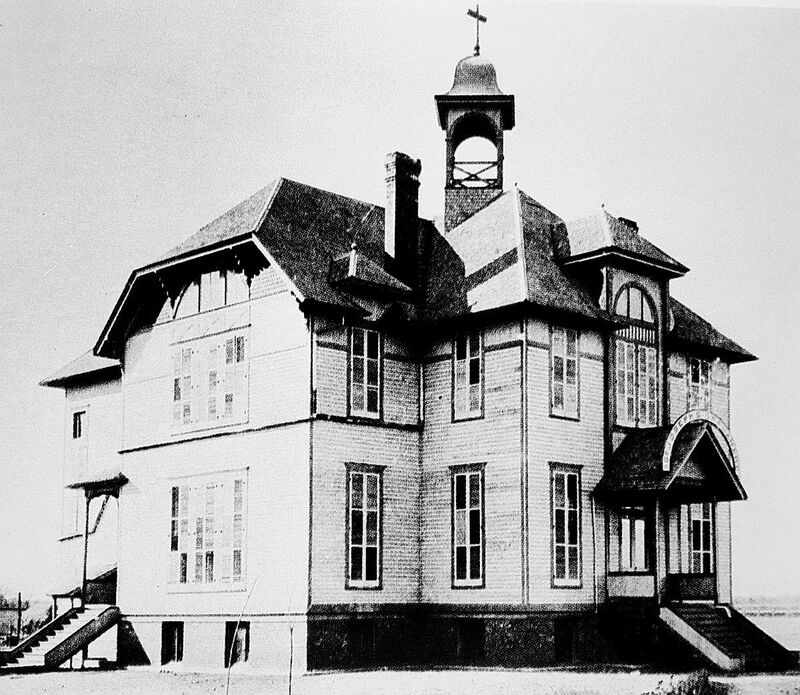 The St. Joseph orphanage was built in Oak Cliff in 1891 on 6-8 acres donated to the Catholic Diocese by Thomas Marsalis. 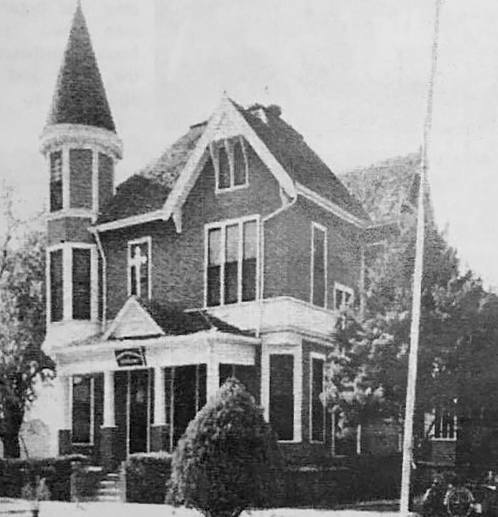 The building was a large house, built and furnished with funds raised from local donations. 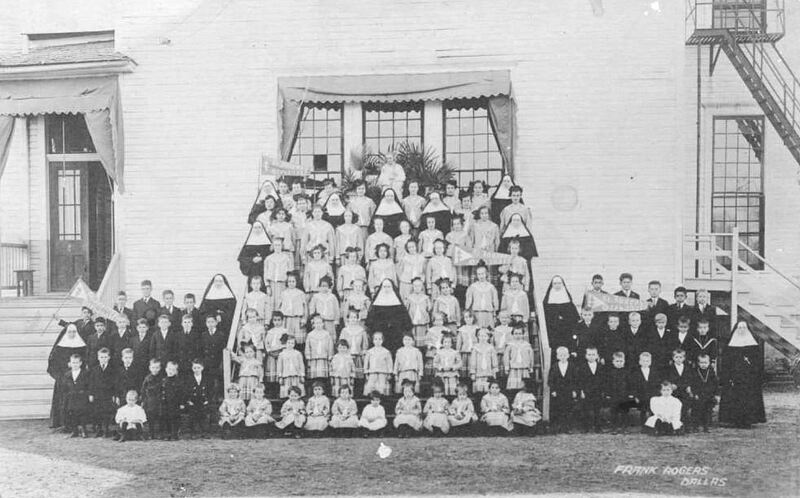 The orphanage was a Catholic institution — run at various times by the Sisters of St. Joseph, the Sisters of Mercy, the Sisters of Charity of St. Vincent de Paul, and the Sisters of Charity of the Incarnate Word — but it was “non-sectarian” in that the children or families in need were not required to be of the Catholic faith. 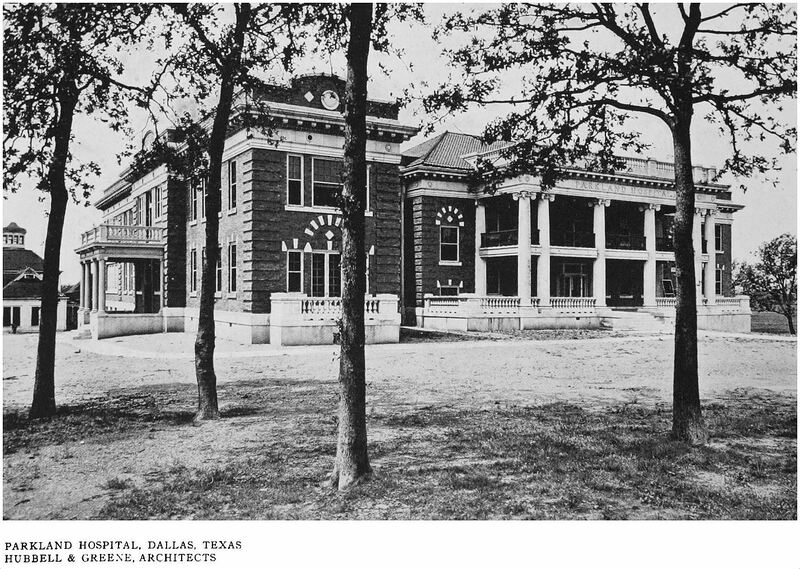 Top photo from Dallas Rediscovered by William L. McDonald, is from the collection of the Dallas Public Library. 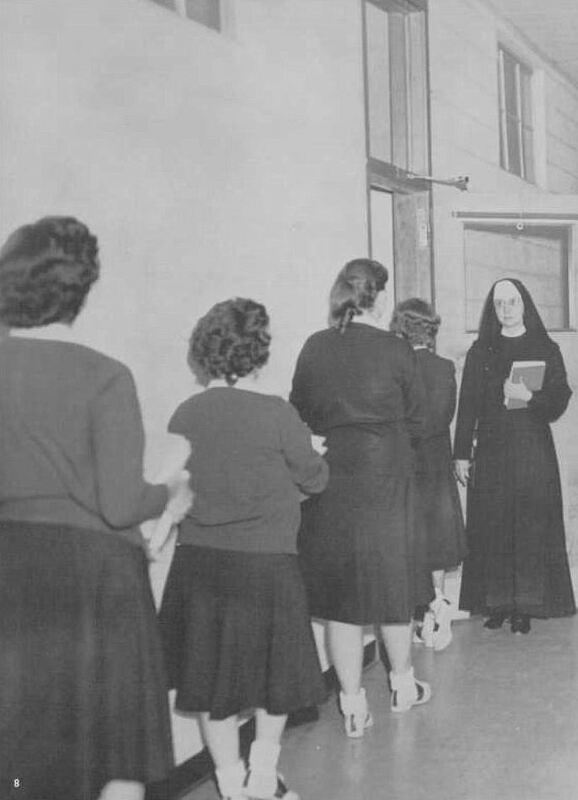 Photo titled “Children and Nuns, St. Joseph’s Orphanage, Dallas, Texas” was taken by Frank Rogers and is from the George W. Cook Dallas/Texas Image Collection, DeGolyer Library, Southern Methodist University; more information can be found here. 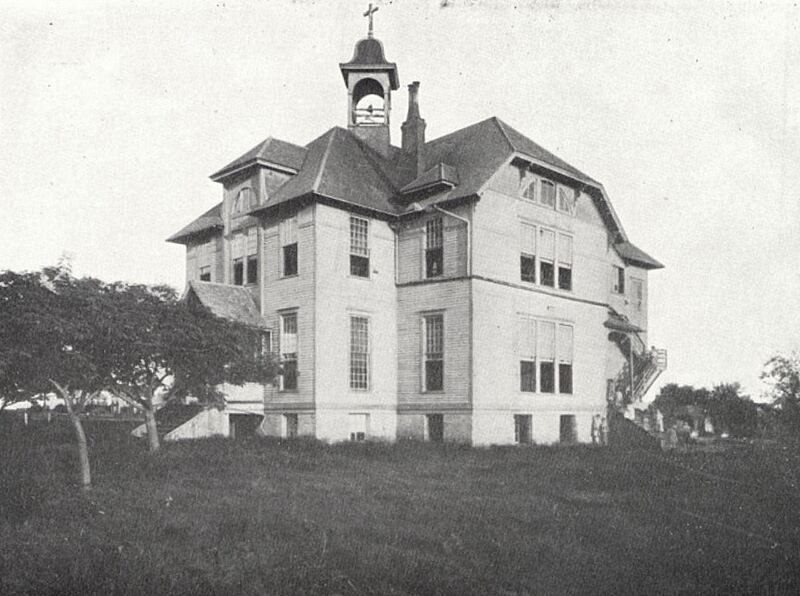 Photo of the old Dallas University/University of Dallas/Trinity University is from the article “Jesuit High School” by Liz Conrad Goedecke, which appeared in the Fall, 2005 issue of Legacies. 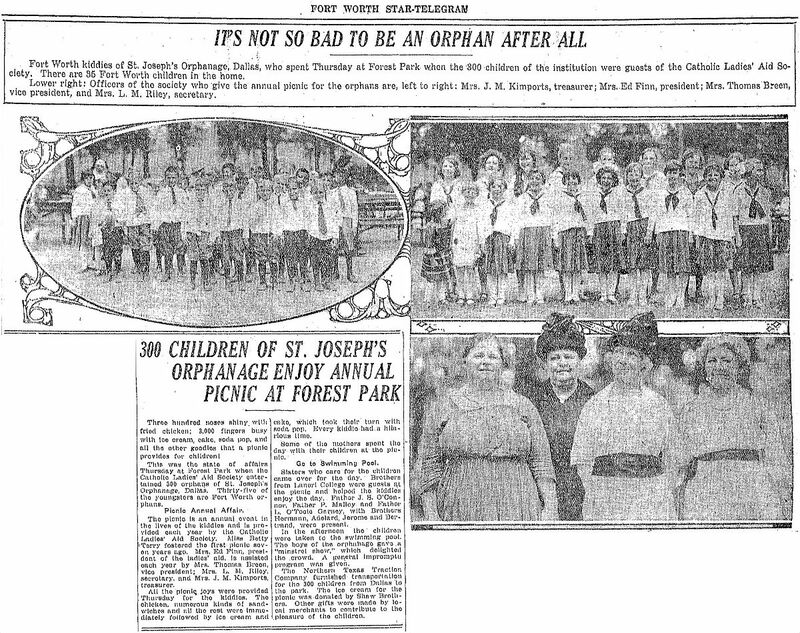 Bottom photo of St. Joseph’s Orphanage is from a PDF titled “A Brief Visual History of the Catholic Diocese of Dallas,” here (p. 19). 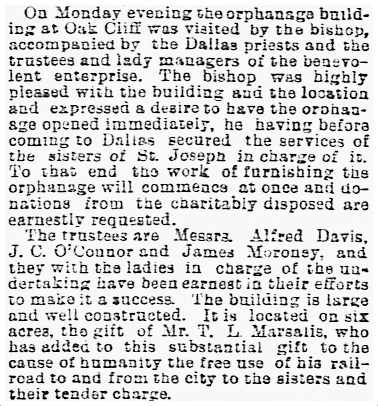 More on the original St. Joseph orphanage can be found here (scroll down to the 1902 article, “Charities of Dallas”). 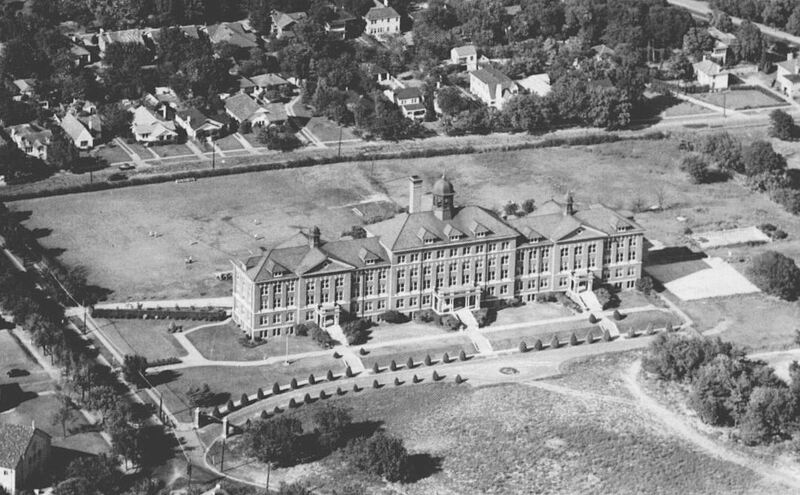 The original St. Joseph orphanage was at the southwest corner of West Page and South Adams, in Oak Cliff. 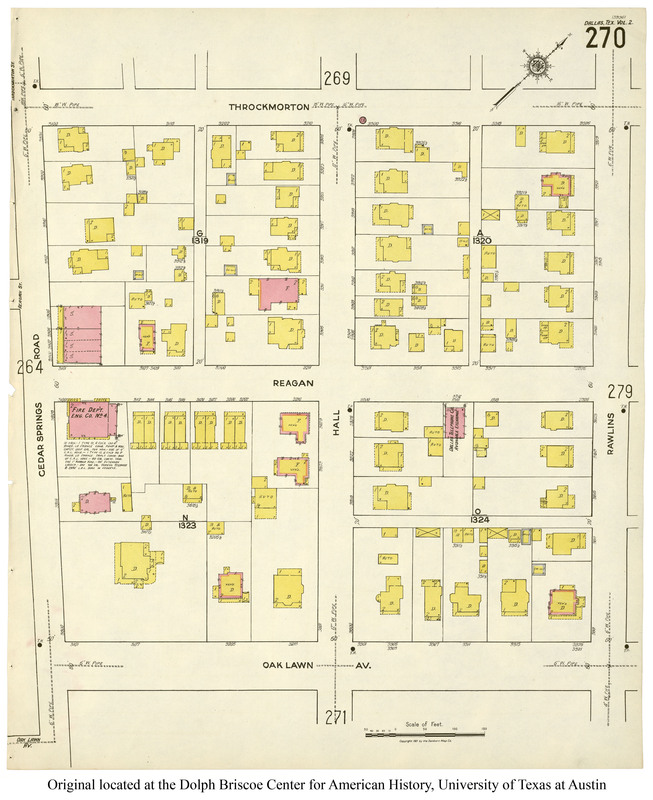 See the 1922 Sanborn map, here. 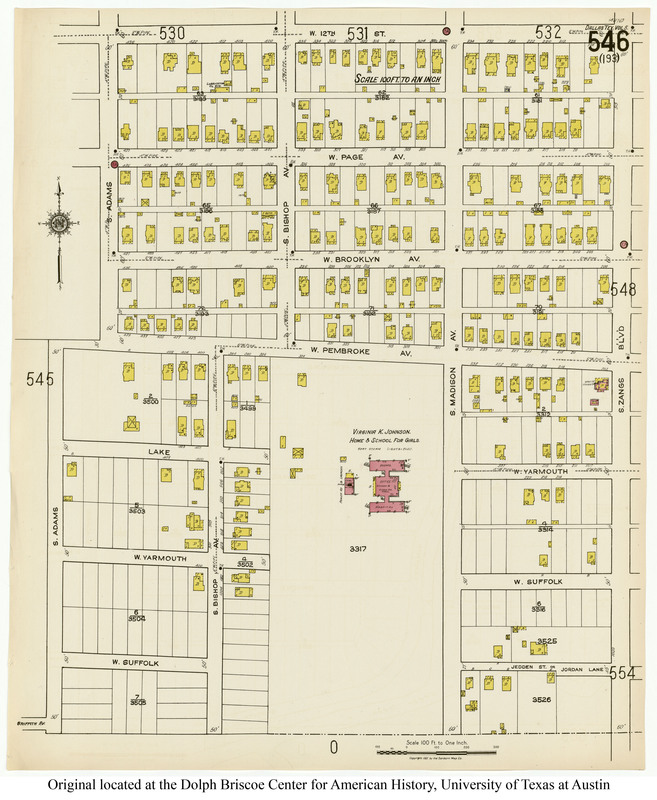 According to the Dallas Central Appraisal District website, the land is currently owned by the Dallas Housing Authority, which, as recently as 2014, had sought permission to build a new “home for the aged” on this property. 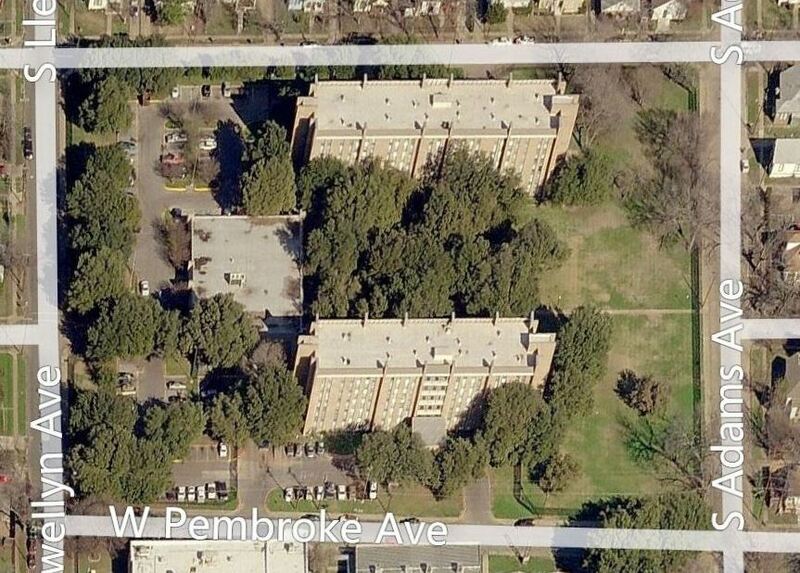 The Bing Maps aerial view shows the Brooks Manor low-income housing project which had occupied this block for several decades before its recent demolition. 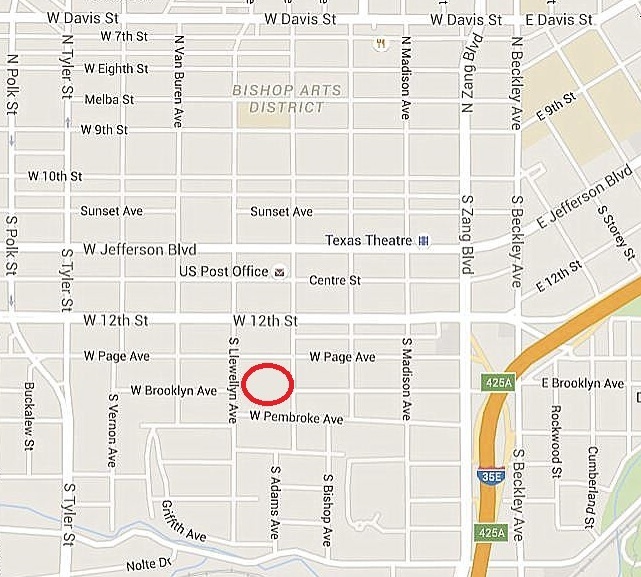 The Google Street view from Jan. 2016 shows an empty block. All photos and articles are larger when clicked. I stumbled across this photograph tonight and was really taken with it. 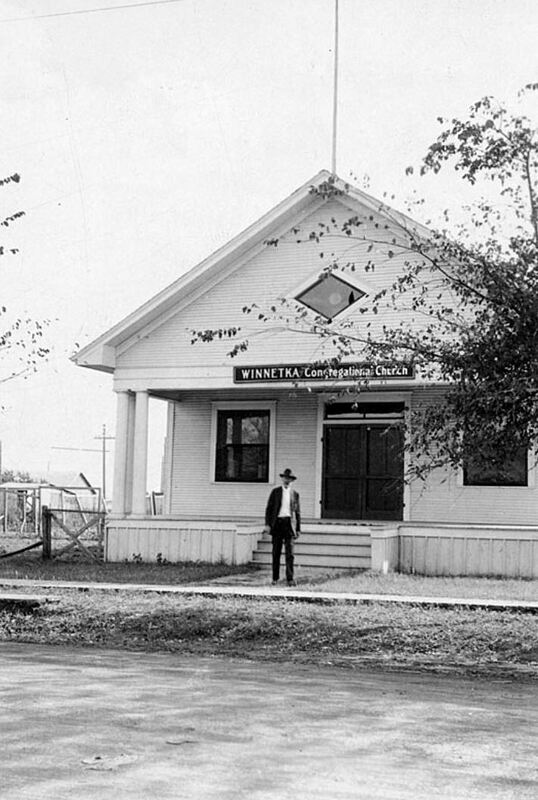 It shows a man standing in front of the Winnetka Congregational Church in Oak Cliff, located at W. Twelfth and S. Windomere streets — on land now part of the property of the W. E. Greiner school. 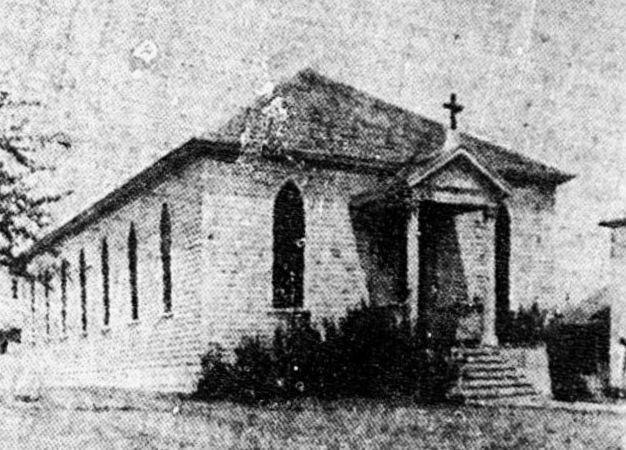 The church was organized in 1914, but by 1925 they were making plans to expand. 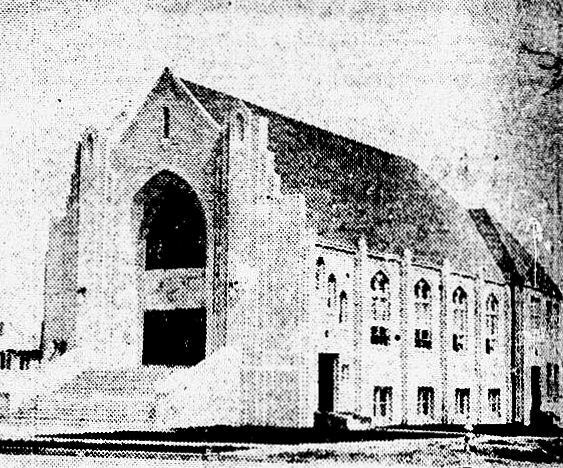 A new church was built in 1929, just across W. Twelfth, facing Windomere. 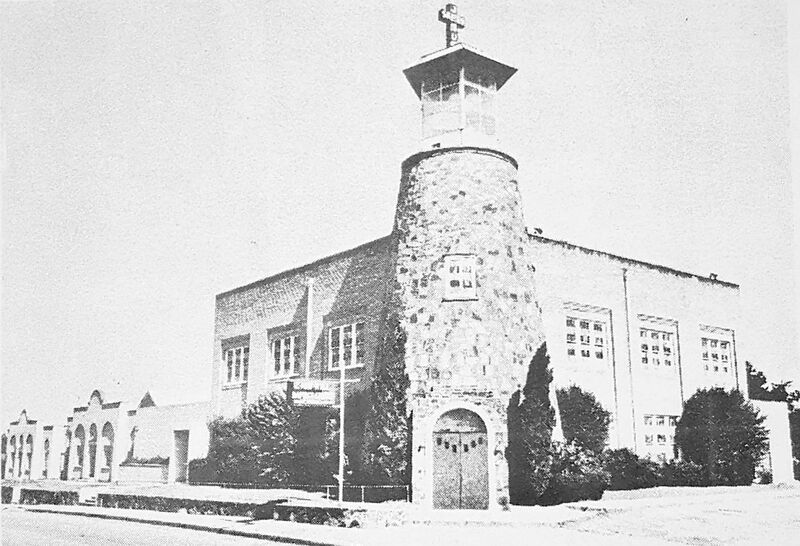 The new building still stands, but Winnetka Congregational Church doesn’t seem to have made it past the 1950s. 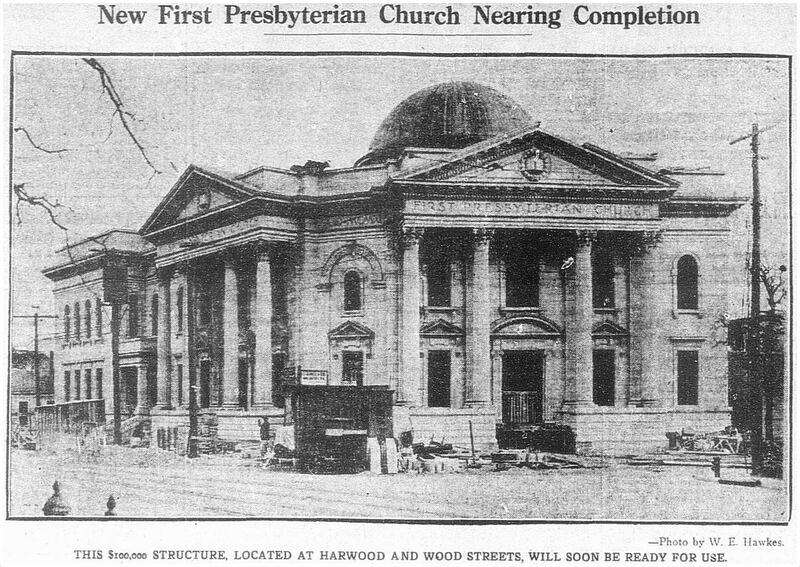 Nice though that newer church is, I think I prefer the smaller one from 1914 with the uncomfortable-looking man standing in front of it. 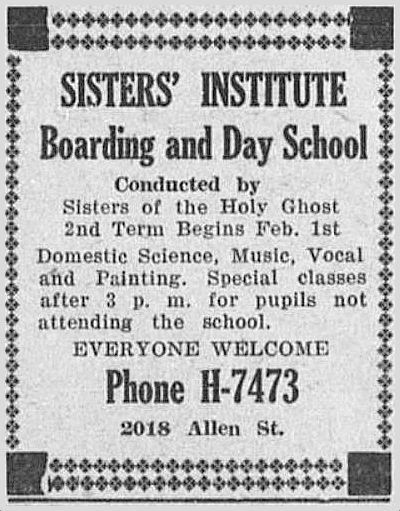 Top photo from the Tulane University Digital Library (with the name of the church misspelled as “Winnietka”), here. 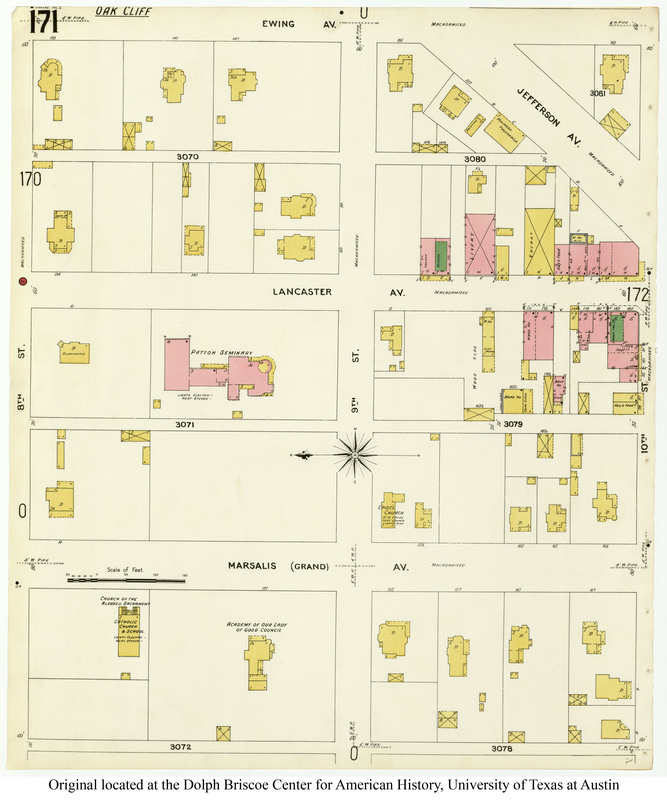 I love Sanborn maps. 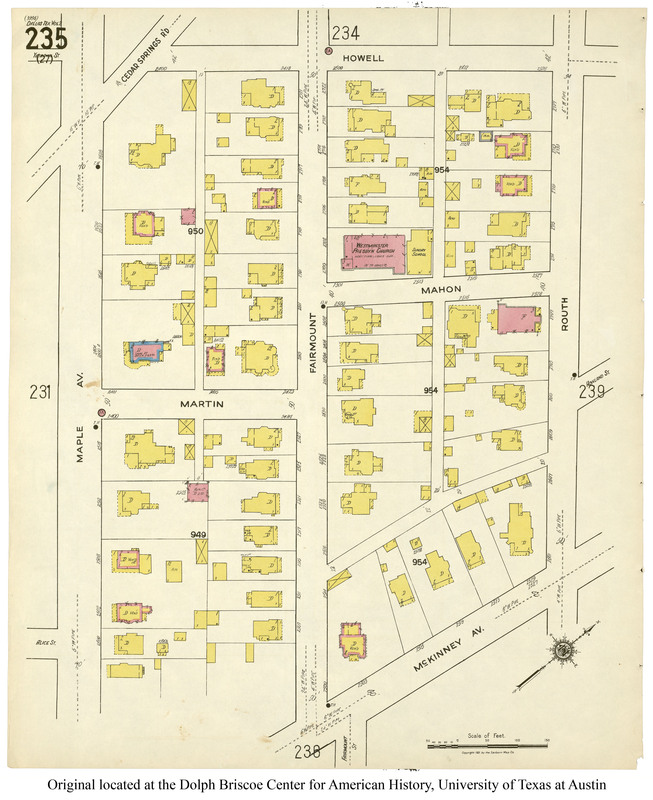 Here’s one from 1922 which shows what the neighborhood looked like then. 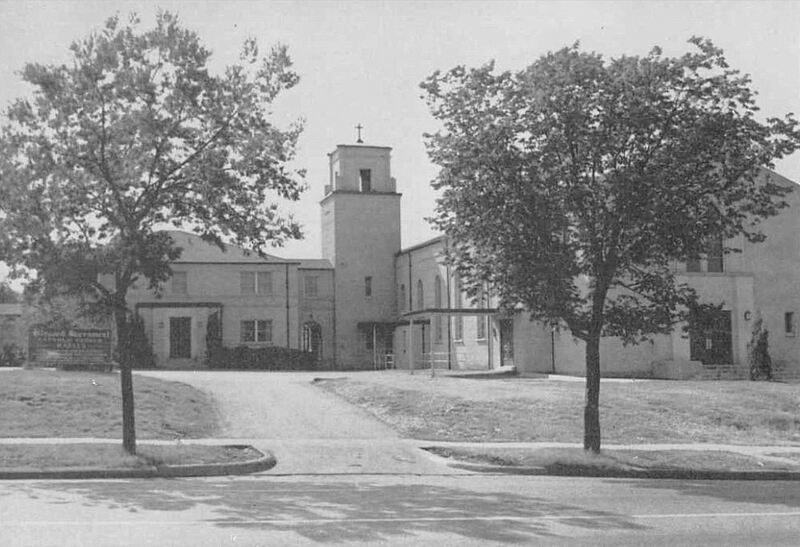 The original small wood frame church can be seen just north of a neighborhood completely undeveloped, except for the Winnetka School. 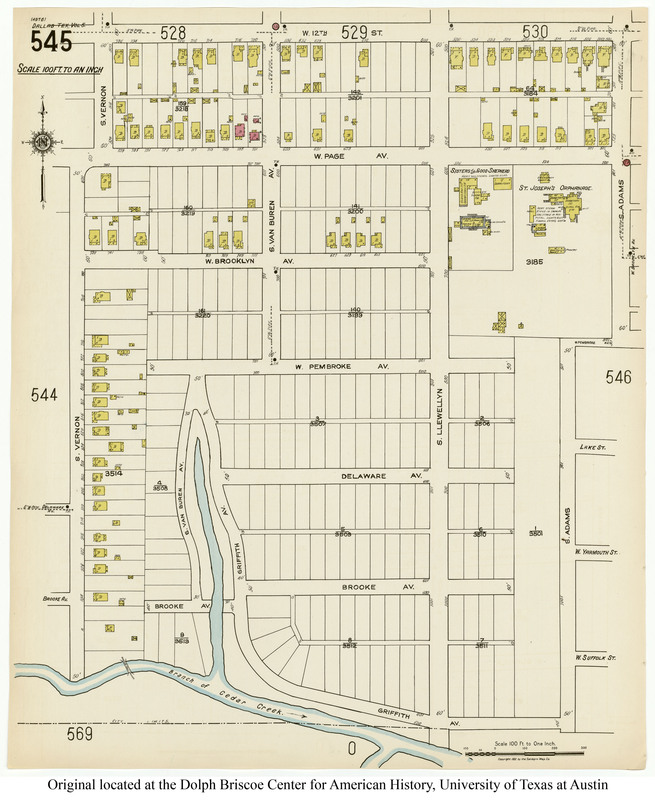 Check out the very large map, here. 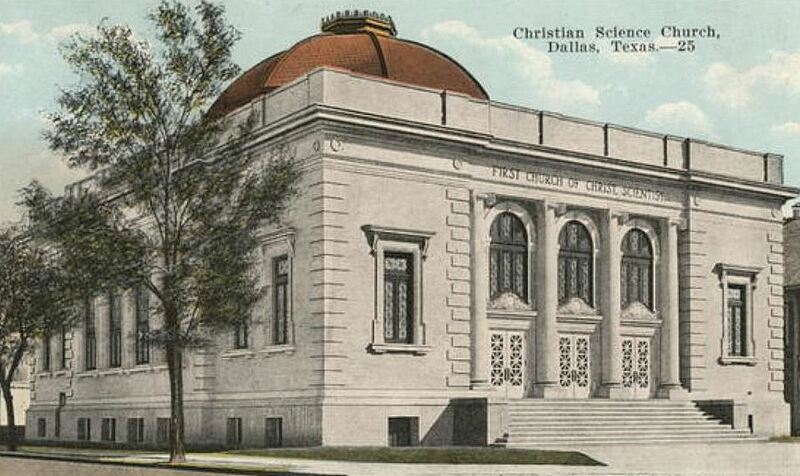 Background on the church can be found on the Oak Cliff Yesterday blog, here. 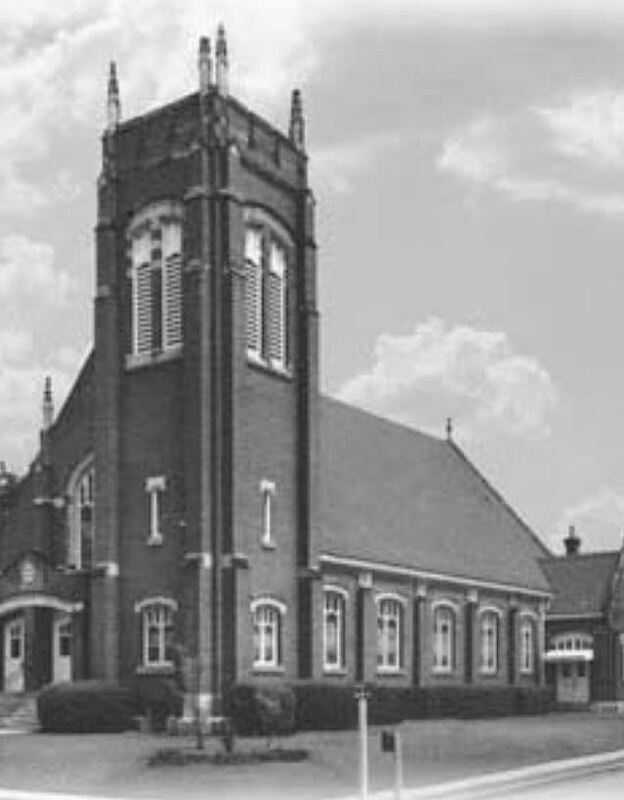 If you REALLY want to learn about this church’s history, there is a book, History of Winnetka Congregational Church, Dallas, Texas by Sarah E. Johnson (1935). 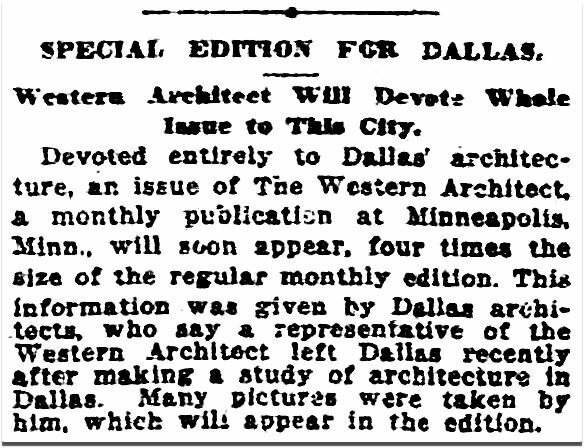 Looks like the Dallas Public Library has a copy, here. 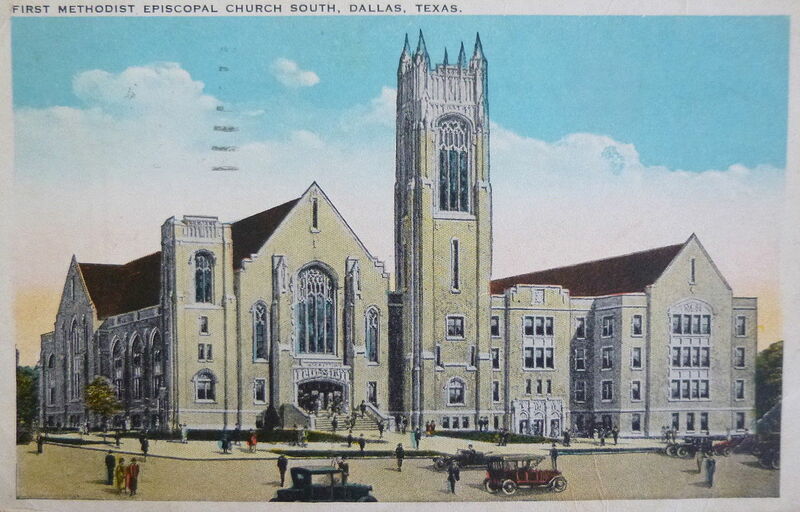 The First Methodist Episcopal Church, South (now First United Methodist Church of Dallas) was built in 1924 and 1925 at Ross and North Harwood. 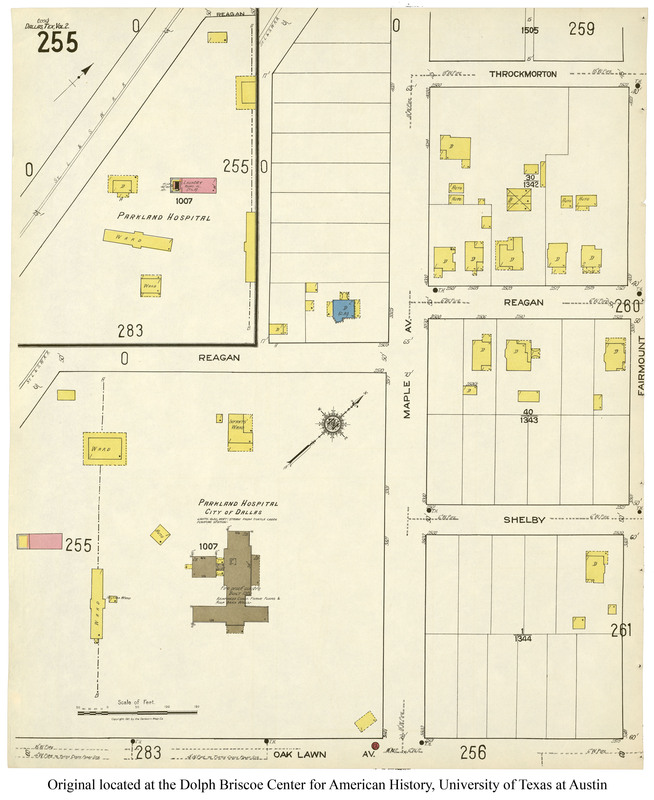 It was a large undertaking, and its construction meant that three of the four very large houses in the 1900 block of Ross Avenue, between North St. Paul and North Harwood, had to be demolished, including the house built by Mrs. Miranda Morrill in 1886 at the southwest corner of Ross and Harwood. 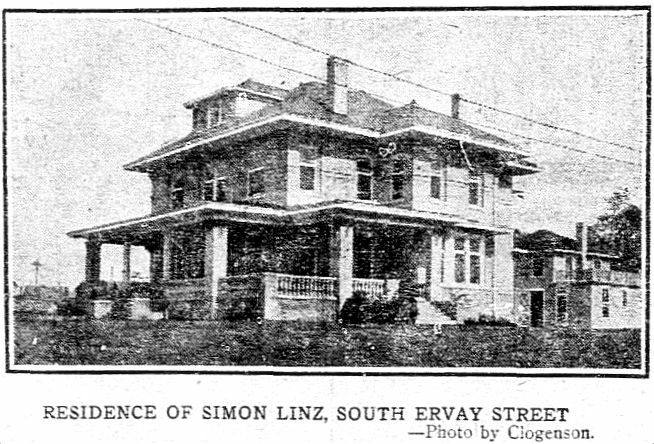 For many years, large houses like this — owned by the city’s wealthiest bankers, industrialists, and real estate men — lined Ross Avenue, just to the north of the central business district. 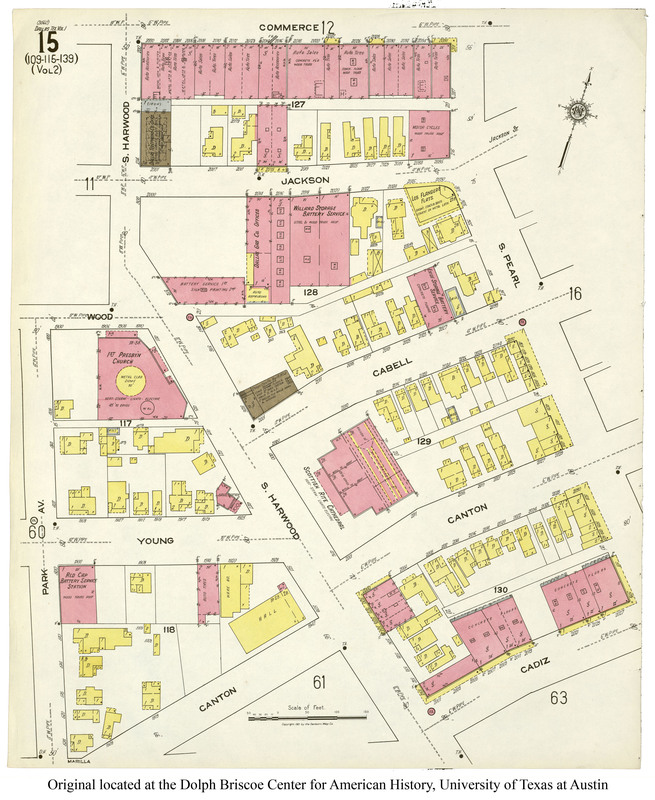 But by the 1920s, more and more non-residential development began to encroach into this part of town. 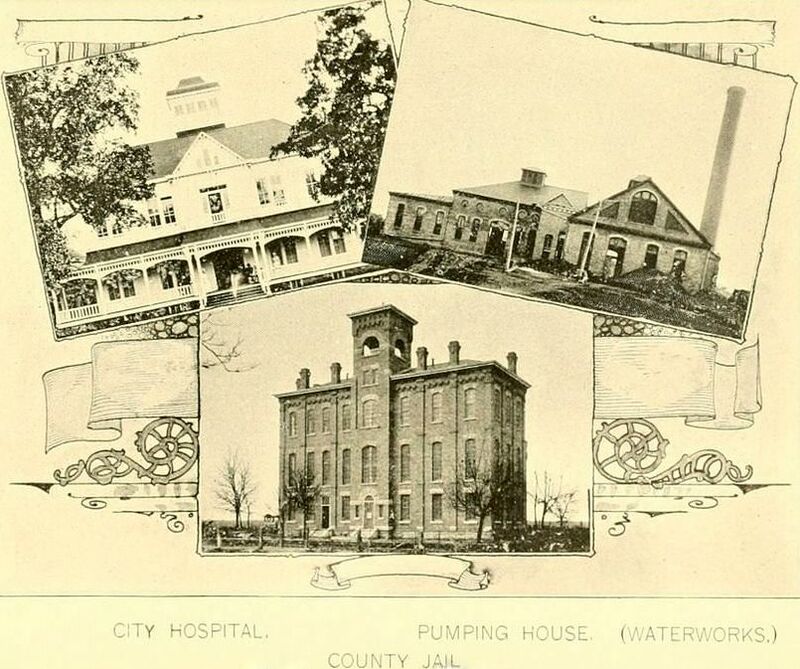 The photograph at the top is pretty amazing, because it shows some of those grand houses in their last days. 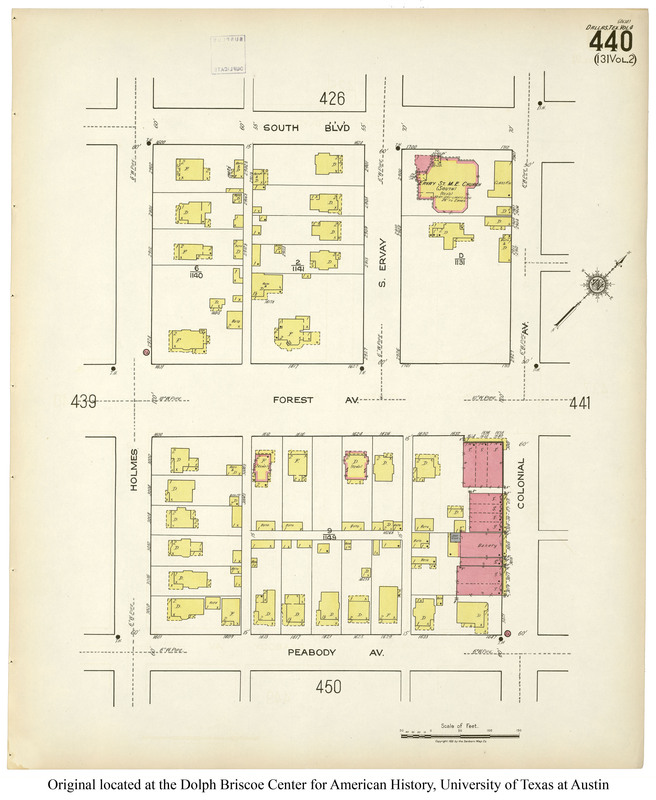 The north side of the 1900 block of Ross (the block now occupied by the Dallas Museum of Art) contained four lots. 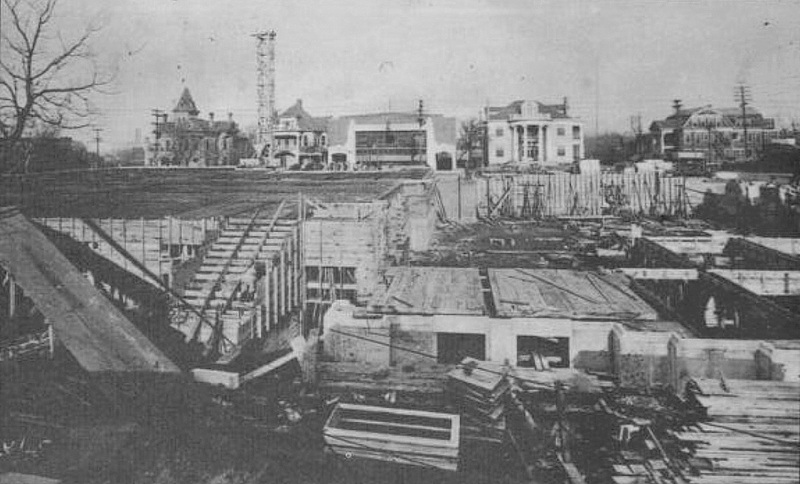 In the 1925 construction photo above, there are three houses and a business. 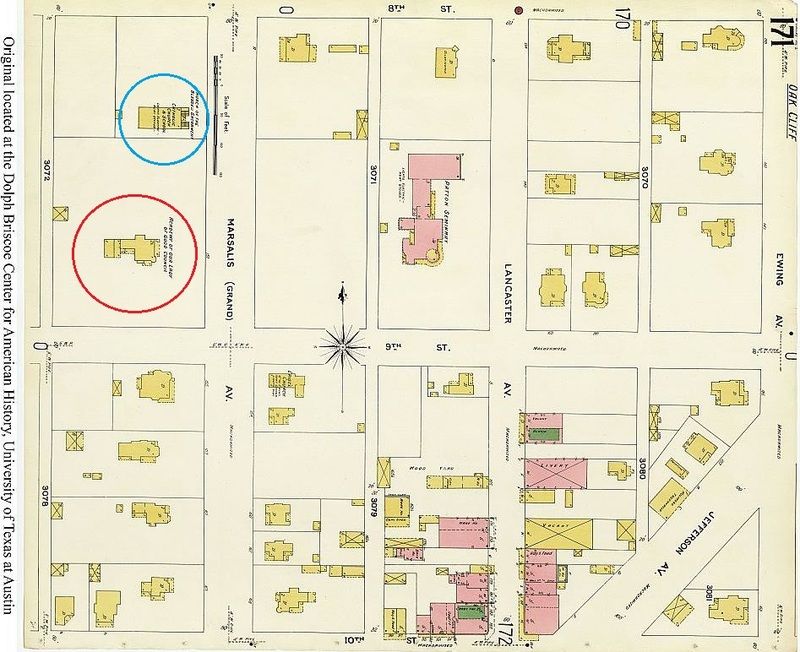 In the detail above, at the far left we see the home of land baron William Caruth (in the book Dallas Rediscovered, William L. McDonald called this little pied-à-terre his “townhouse”) — for decades it sat at the northeast corner of Ross and St. Paul (which had previously been named Masten). Next to it is something that looks like scaffolding or a tower (what is that? — is it a photographer’s perch to document the construction?). 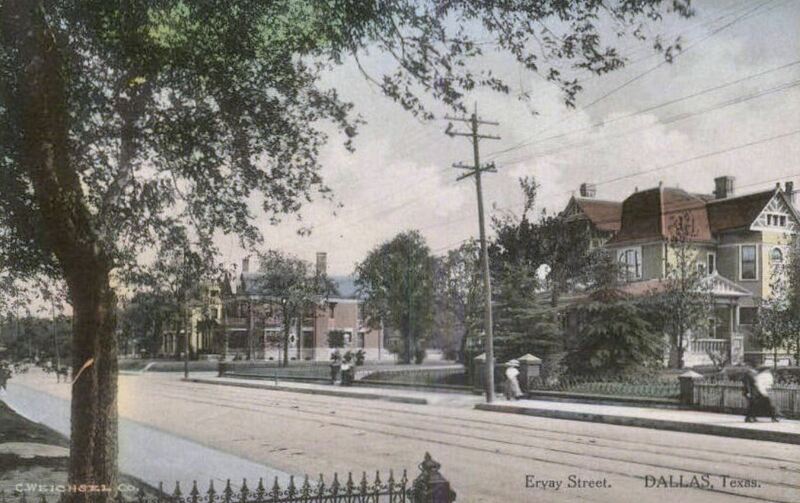 Next to it is another grand house, home of several wealthy occupants over the years. 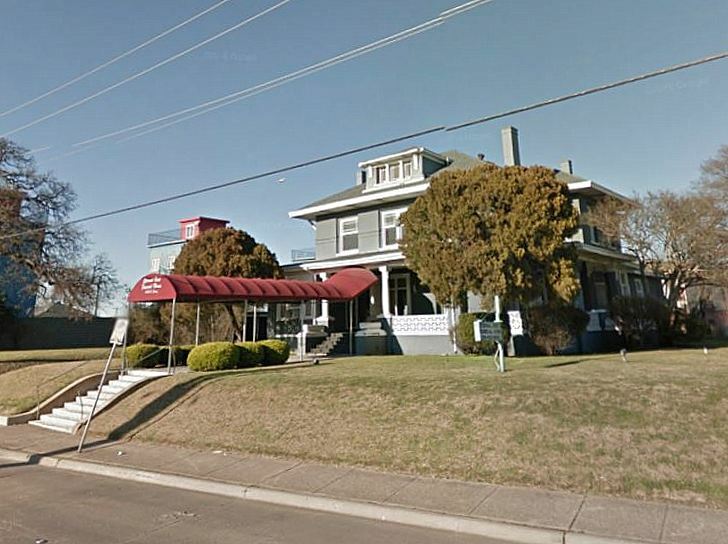 And then … a car dealership and garage. 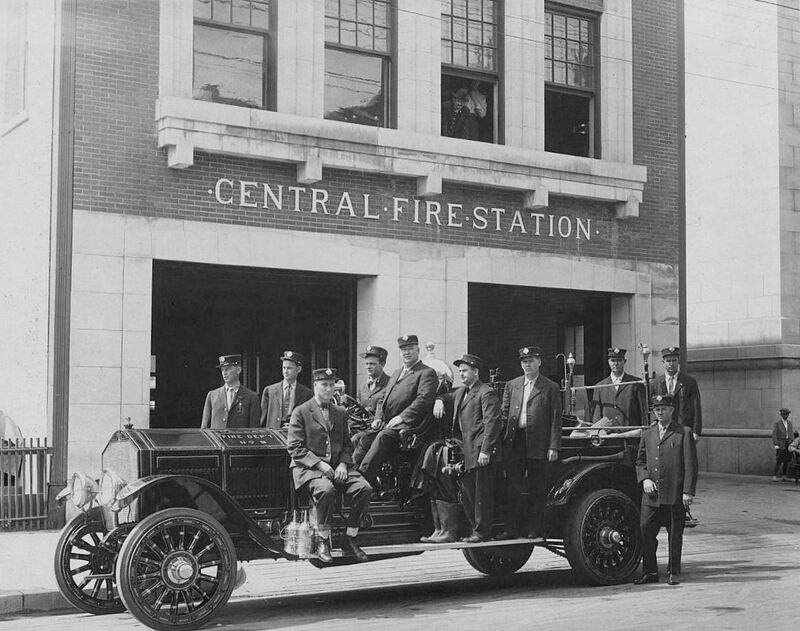 How this happened is a mystery, but this 1921 building — which replaced a beautiful house and which sticks out like a sore thumb — belonged to the Flippen Auto Co., complete with showroom on the ground floor and garage and repair facilities on the second floor — it may have had one of the first car elevators in town. 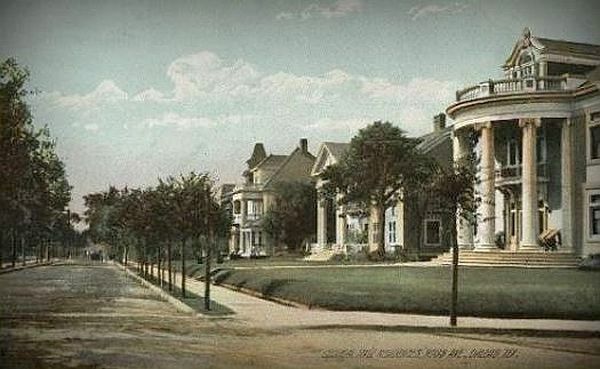 Next to the Flippen Auto Co. was the grandiose Conway House, with its columns and portico; it was built around 1900 at the northwest corner of Ross and Harwood and was the childhood home of pioneer female fashion illustrator Gordon Conway. 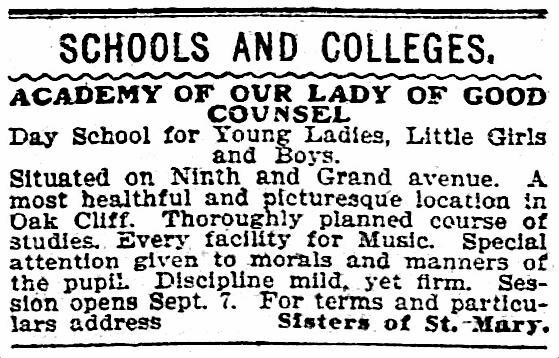 In 1921 — after a few years as a music conservatory — it became the home of the Knights of Columbus. 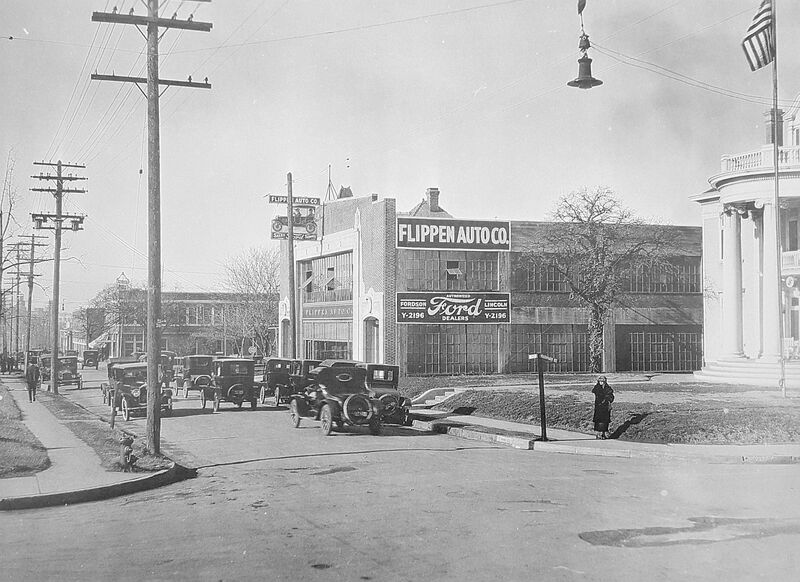 And here’s a photo showing both the Flippen Auto Co. and part of the former Conway House. 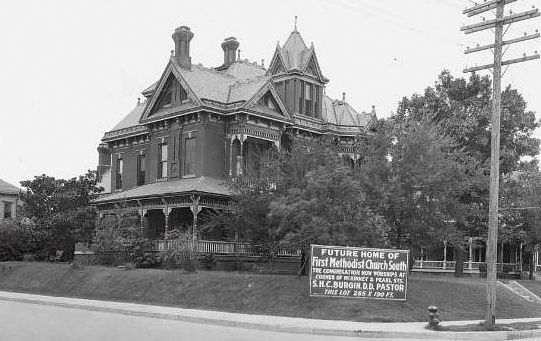 On the northeast corner of Ross and Harwood, we can see a large house facing Harwood. 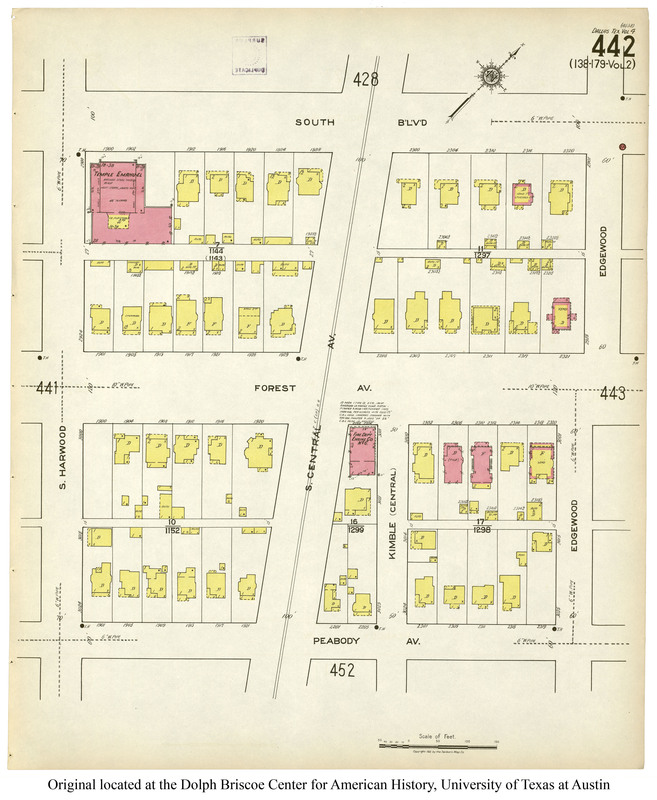 Forget the house — on that corner was a tiny little gas station. 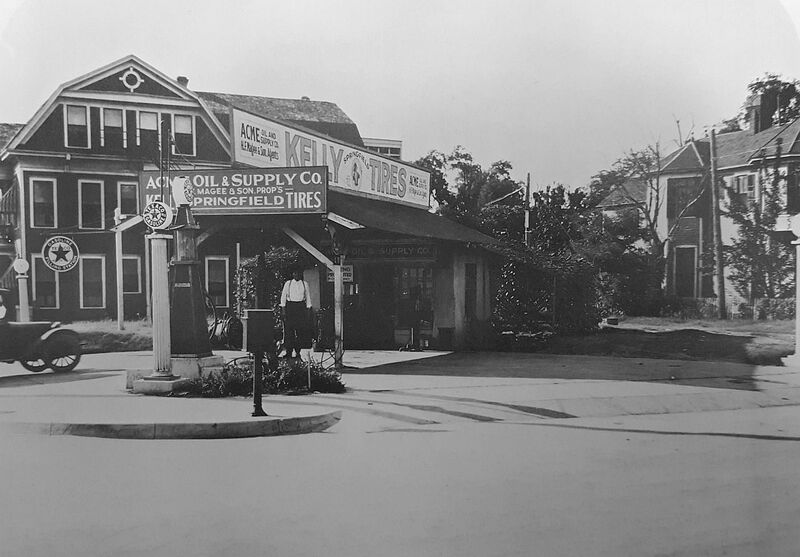 And glory be, I stumbled across a great photo of the Acme Oil & Supply Co. complete with Texaco pump — probably from around 1919 or 1920. 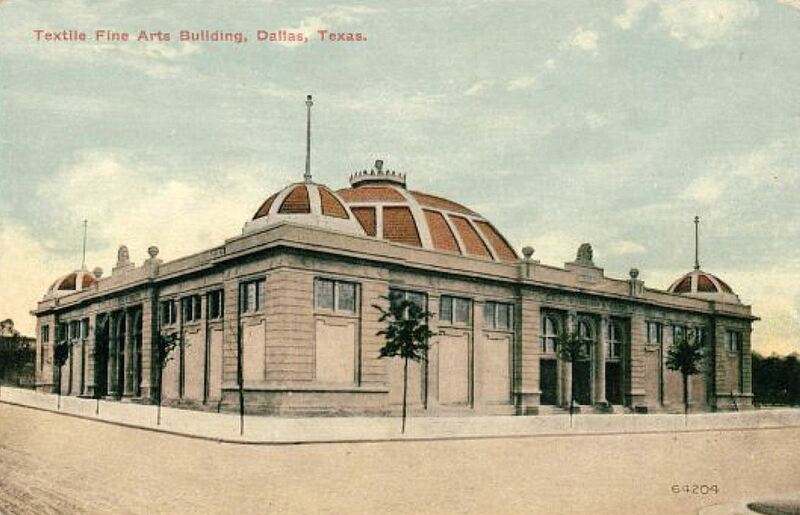 But back to the construction of what is now the First United Methodist Church of Dallas — a lovely building which still stands and faces the Dallas Museum of Art. 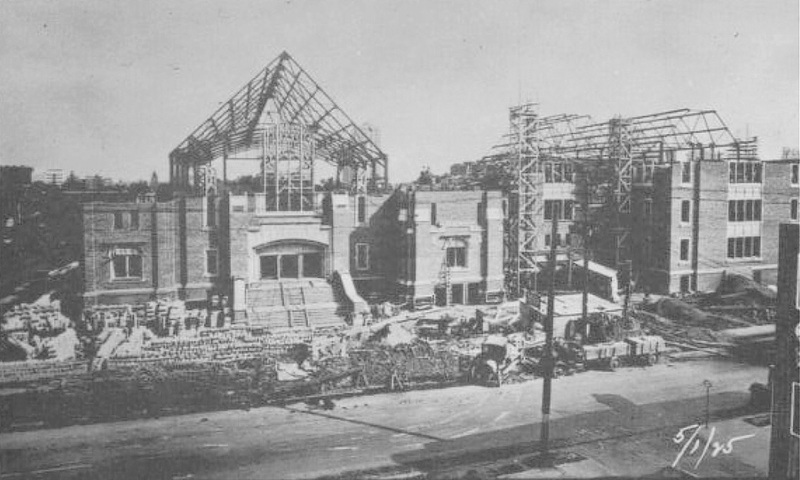 Here’s a photograph of the construction from May, 1925. 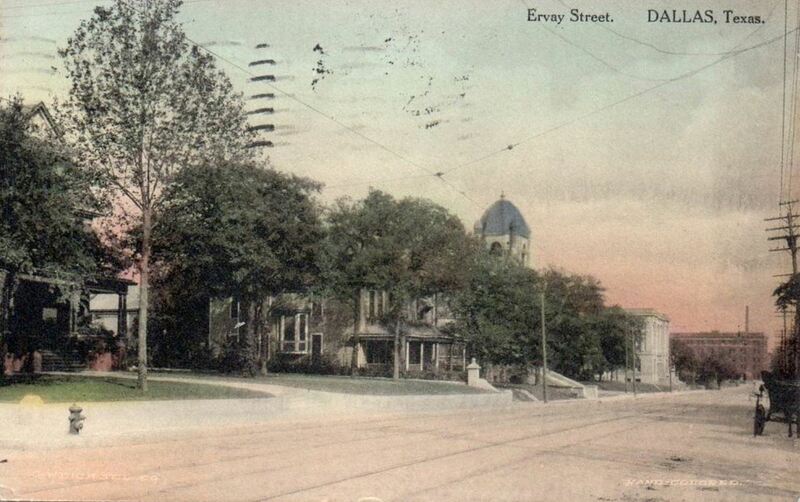 And here is the postcard filled with an artist’s conception of people to-ing and fro-ing. 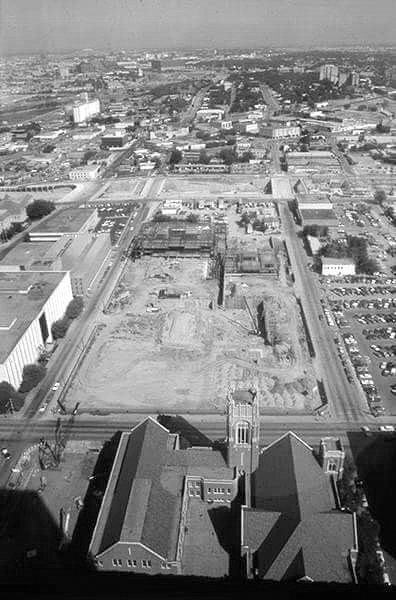 And, finally, an aerial view taken above the church in the early 1980s, looking north, showing the same block once bookended by the Caruth and Conway mansions, now leveled to make way for the Dallas Museum of Art. 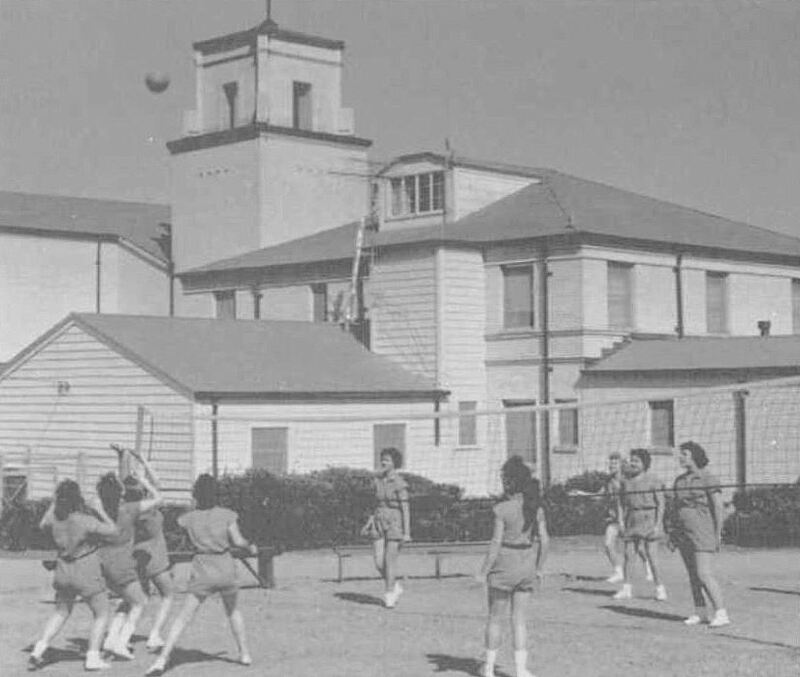 I think I prefer the view from 75 years earlier. 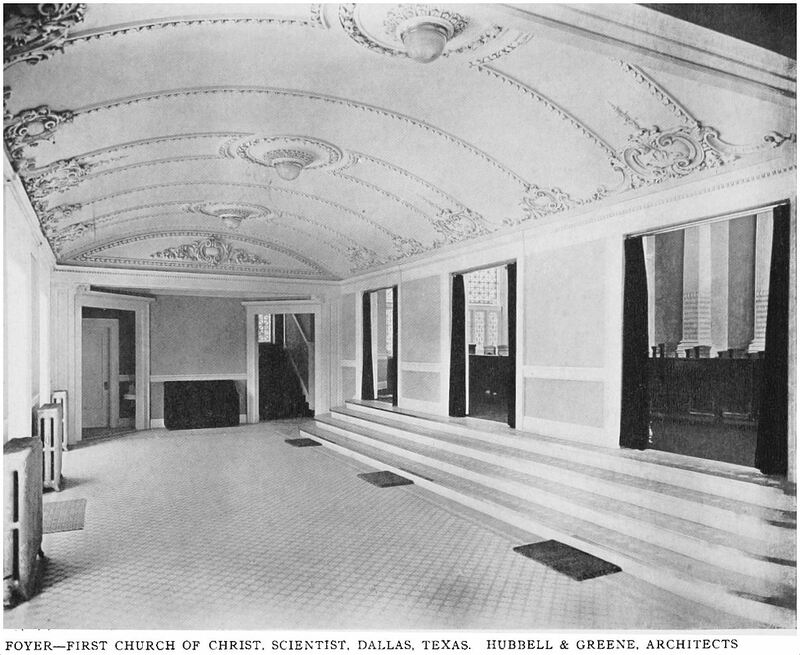 The two photos taken in 1925 during the construction of the church are from the book Church at the Crossroads, A History of First United Methodist Church, Dallas (Dallas: UMR Communications, 1997); the entire book has been scanned and may be viewed at Archive.org, here (all the photos are at the end). 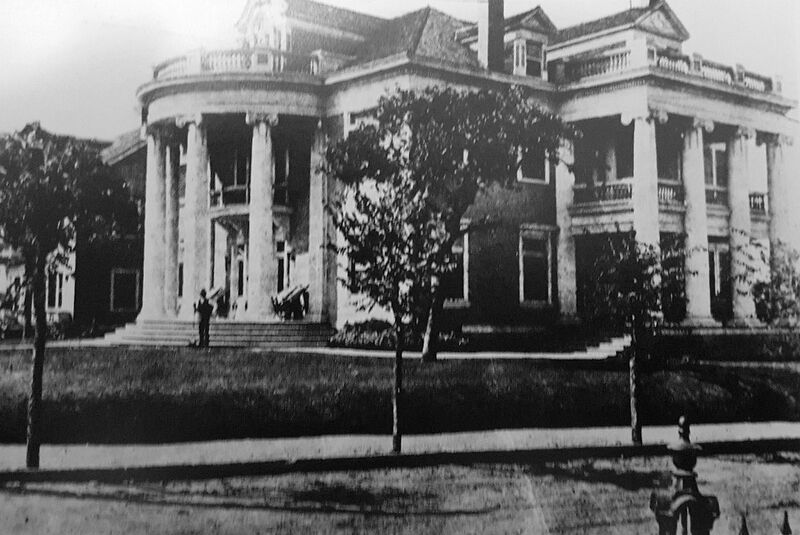 The photo of the Morrill house is from Mark Doty’s book Lost Dallas (Charleston: Arcadia Publishing, 2012). 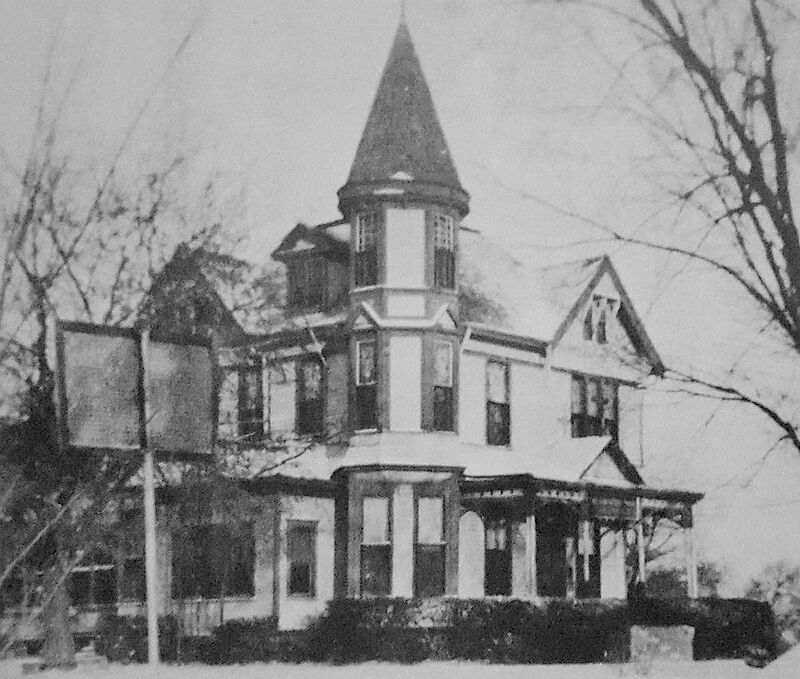 Photo of the Conway House is from Dallas Rediscovered by William L. McDonald (Dallas: Dallas Historical Society, 1978). 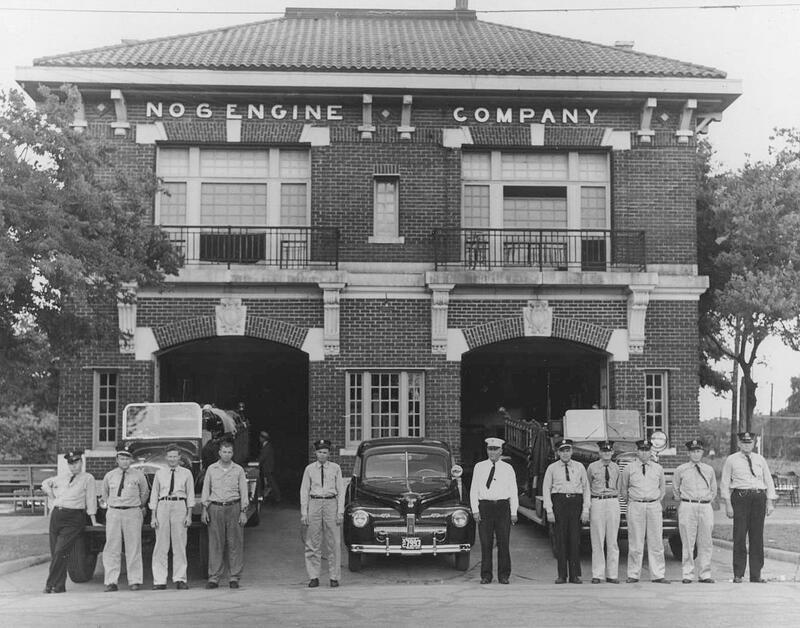 Photo showing the Flippen Auto Co. and the Conway house from Diane Galloway’s book The Park Cities, A Photohistory. 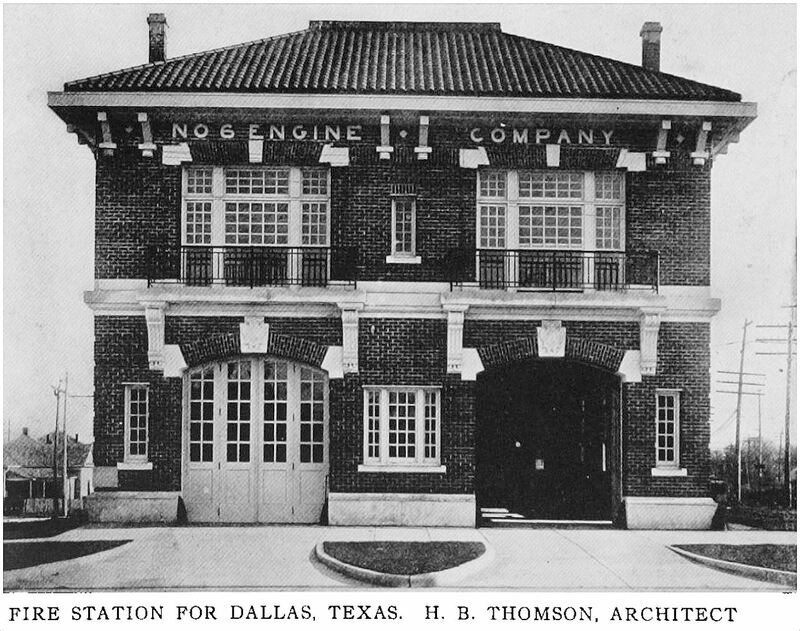 Photo of the Acme gas station is from Dallas: The Deciding Years by A. C. Greene (Austin: Encino Press, 1973). 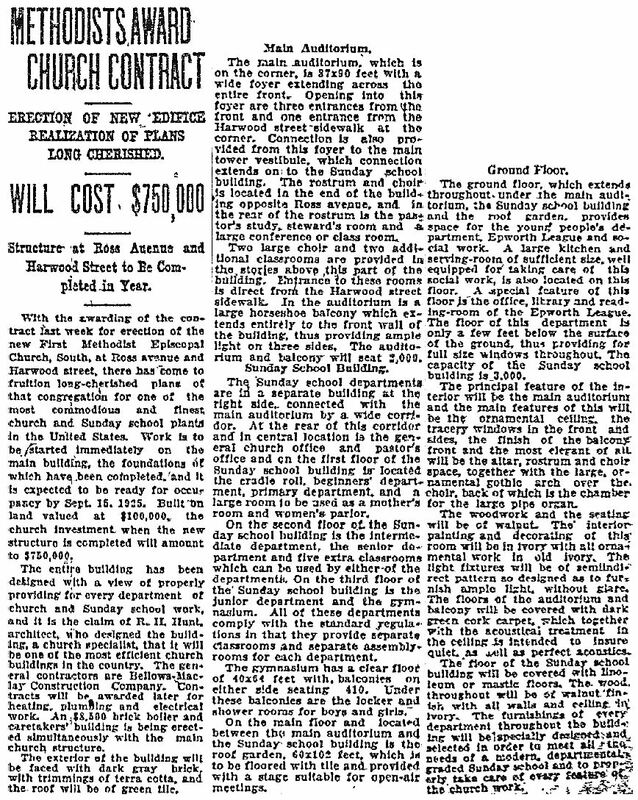 The construction of the First Methodist Episcopal Church, South was announced in a Dallas Morning News article on Oct. 5, 1924. 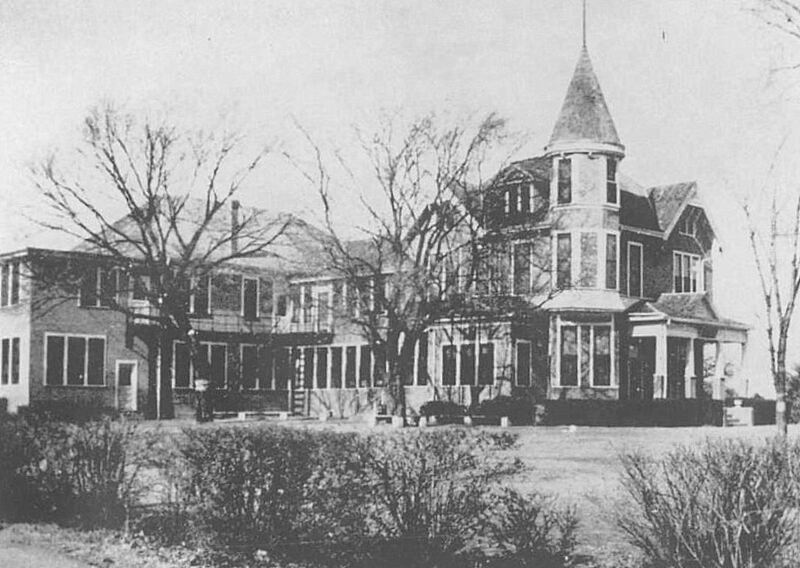 All that’s left of those grand homes is the Belo Mansion. It’s something!